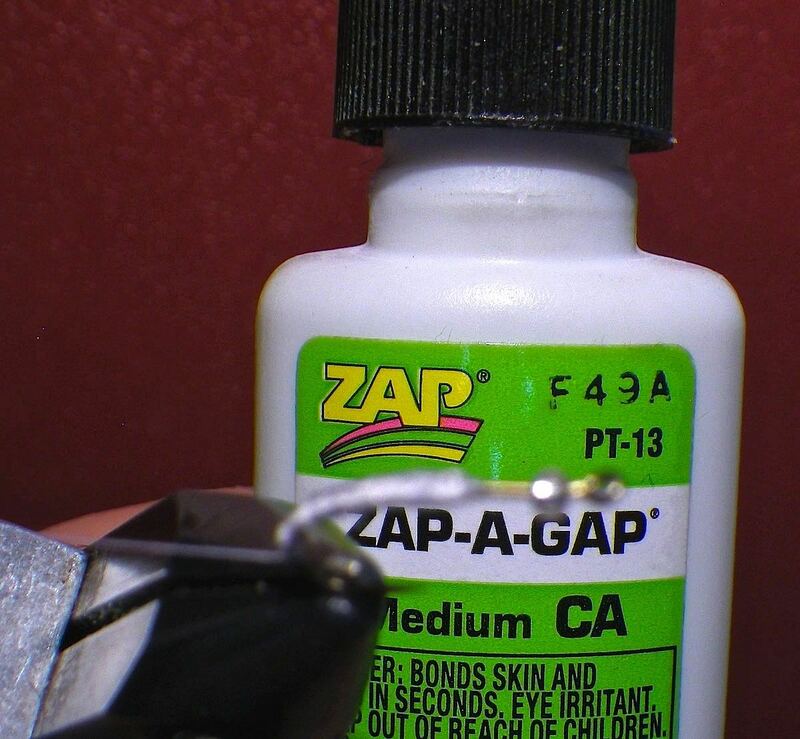 #6…Coat the thread wraps with Zap-A-Gap – Keep it away from the bead and let it dry ! 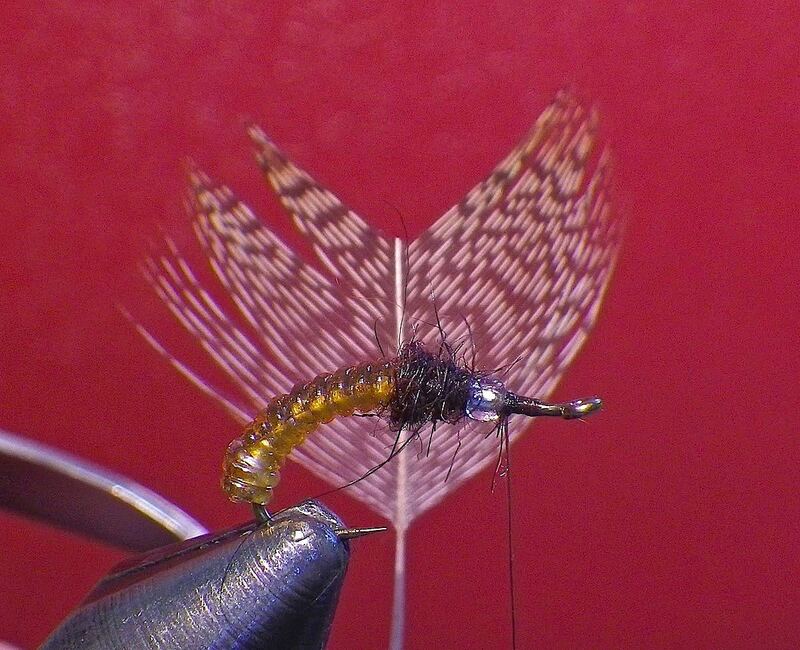 Wingcase: Razor foam, pick yer’ color! 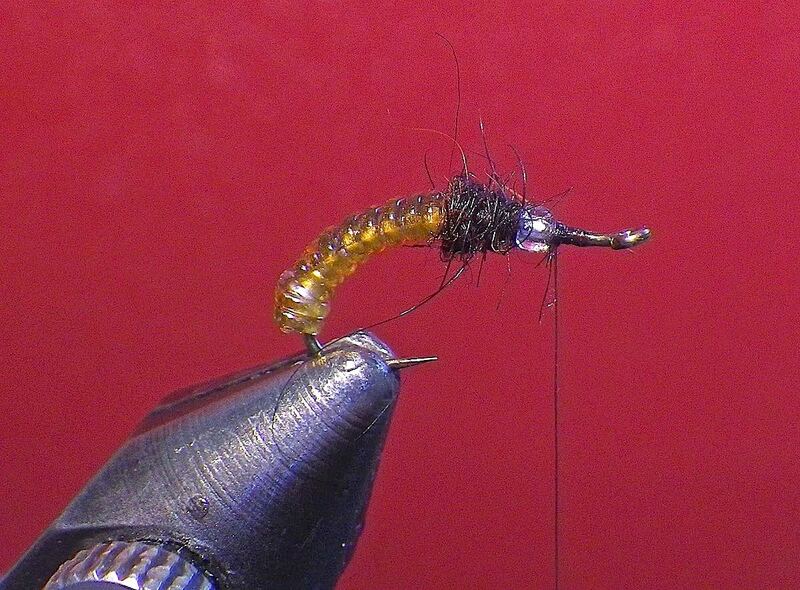 Legs: Here ,black Raineys rubber,but one could experiment! 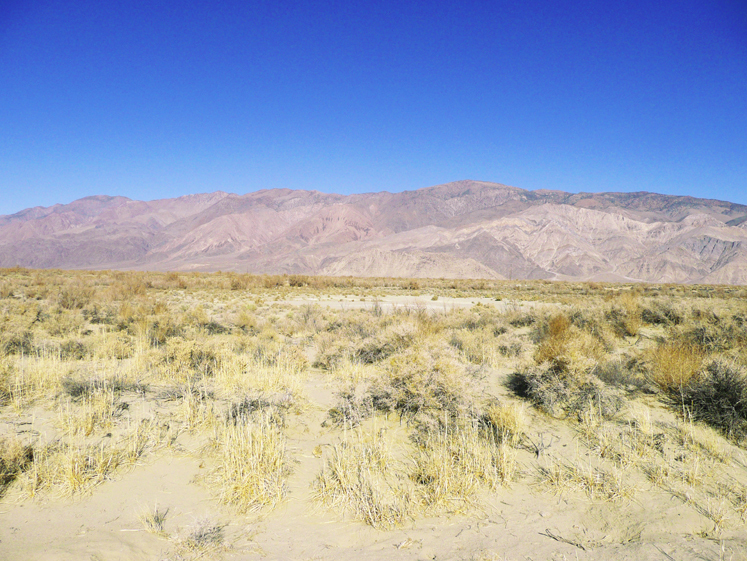 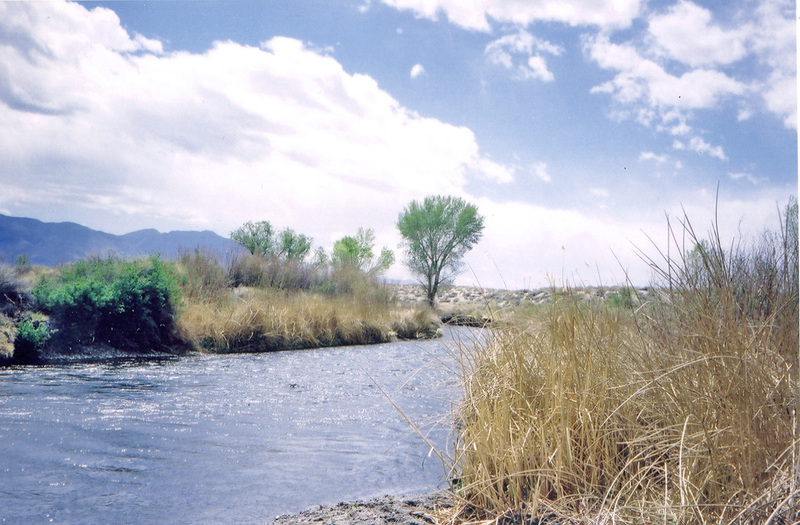 Check out the Kern River Forum. 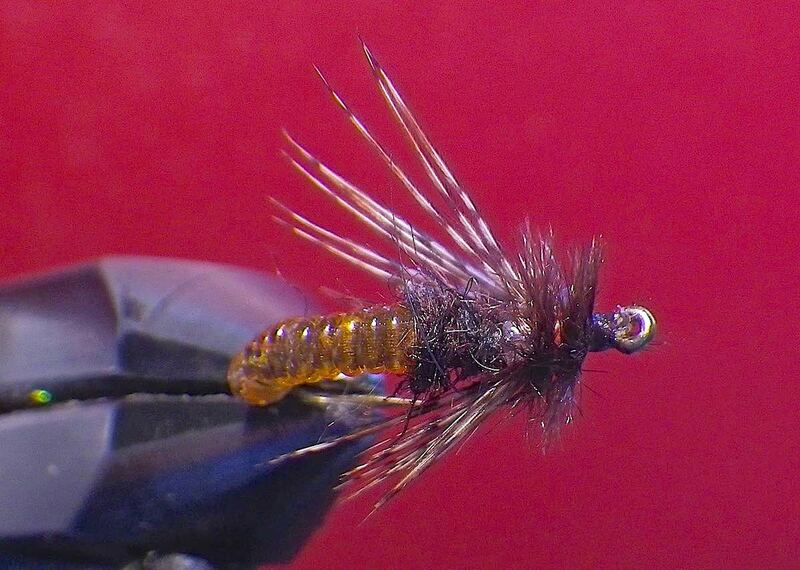 Those guys up there use this fly throughout the year with great success. 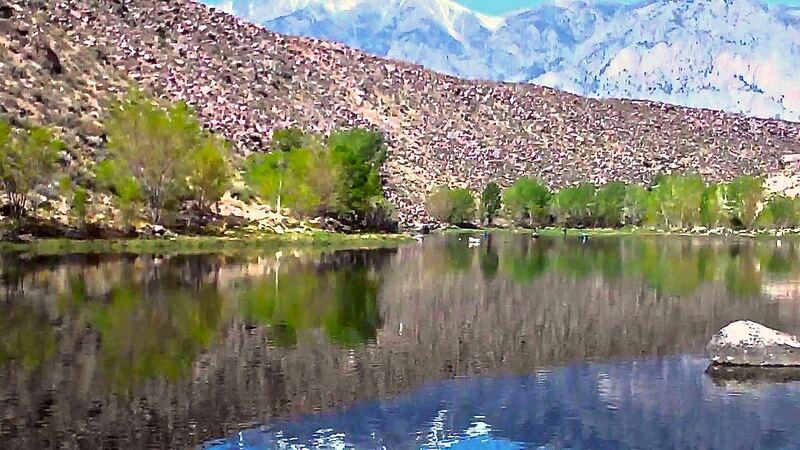 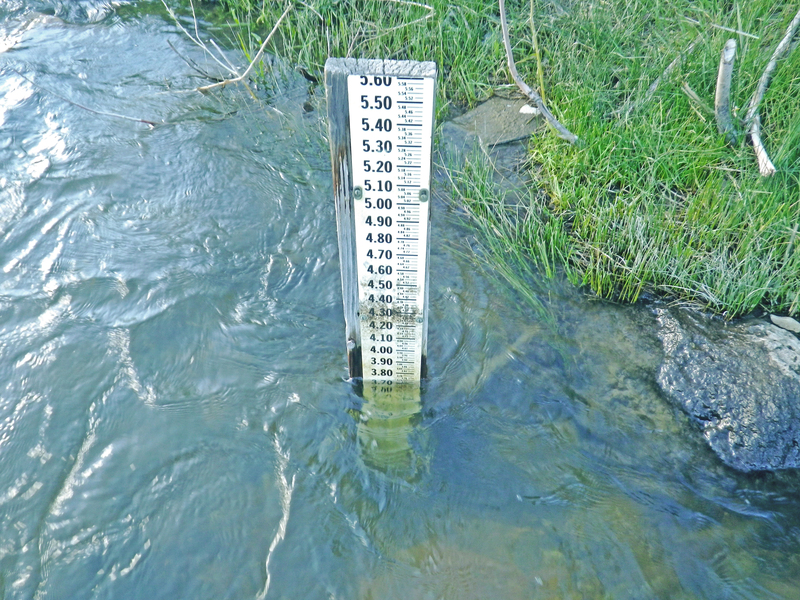 Guy Jean opened up his shop in Kernville several years ago and is a champ when it comes to doing good things for the Kern River and other local waters. 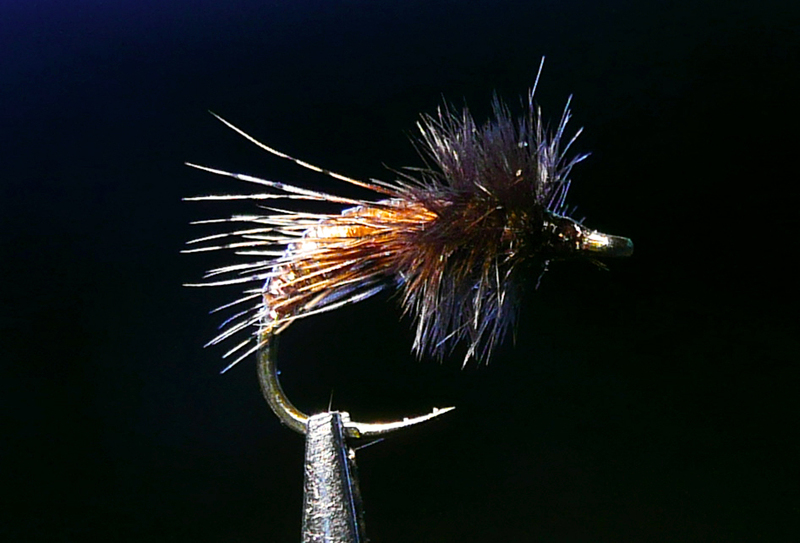 Drop in and see him! 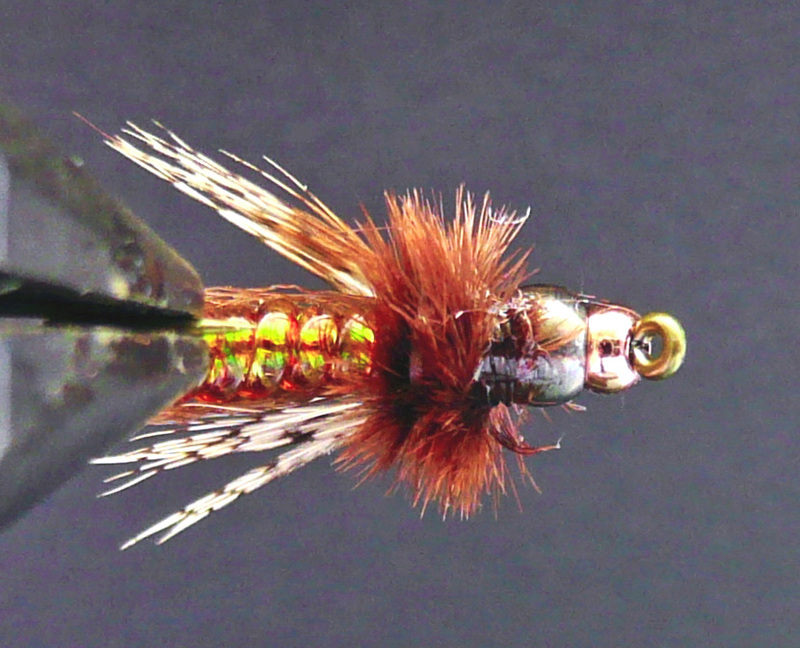 The original- fish vaccum via BRF, Craig Matthews and designer Rowan Nymen. 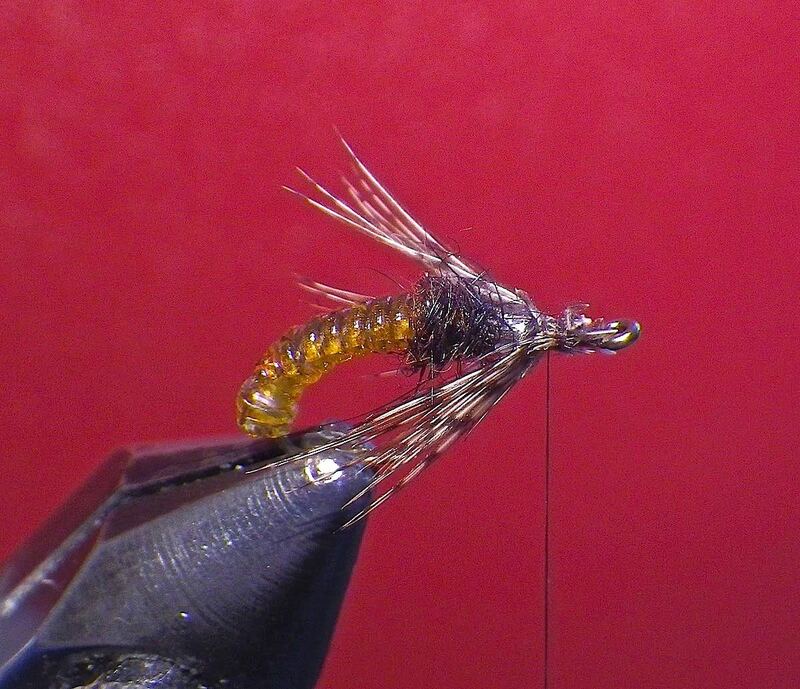 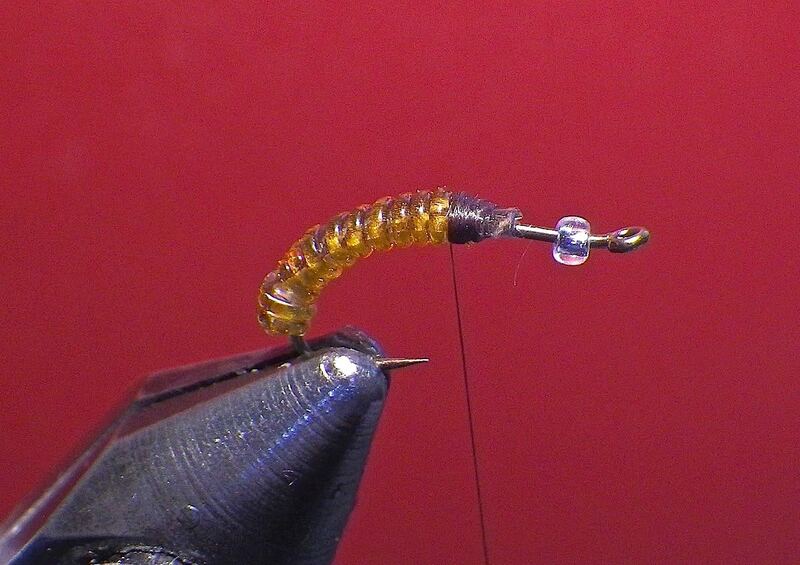 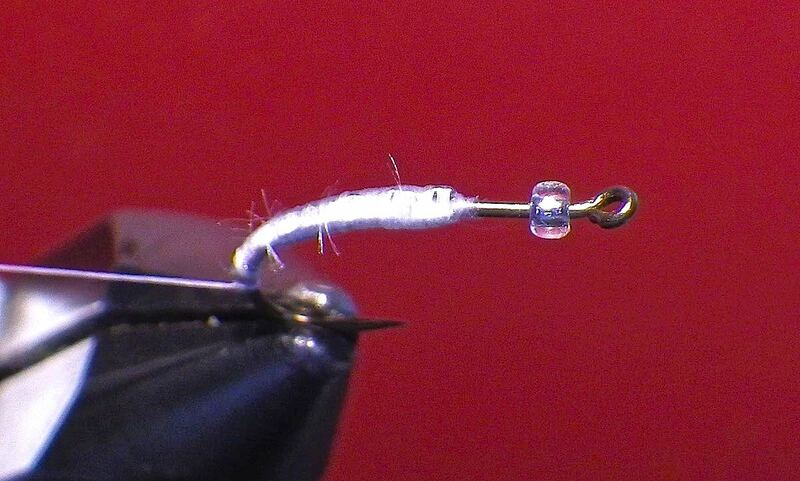 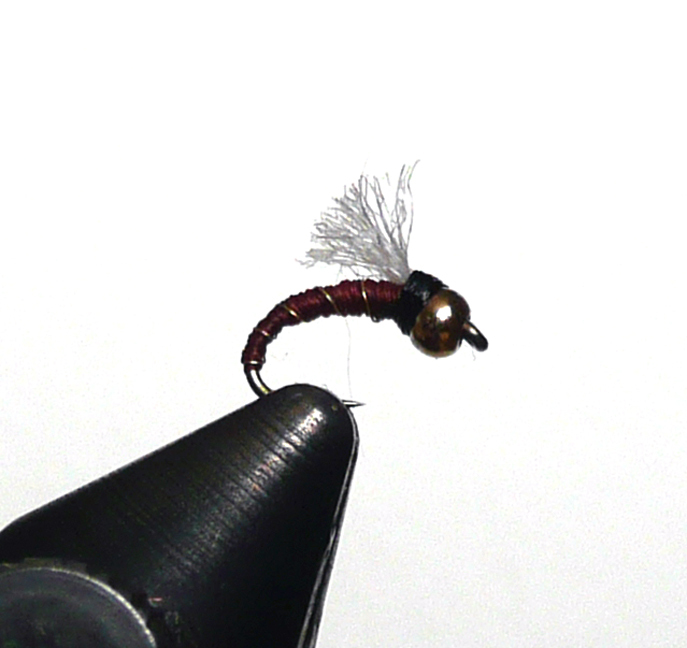 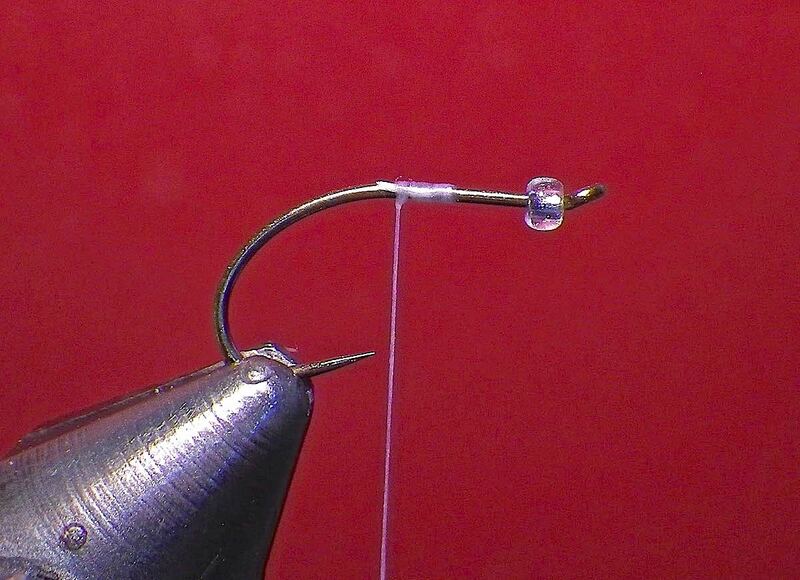 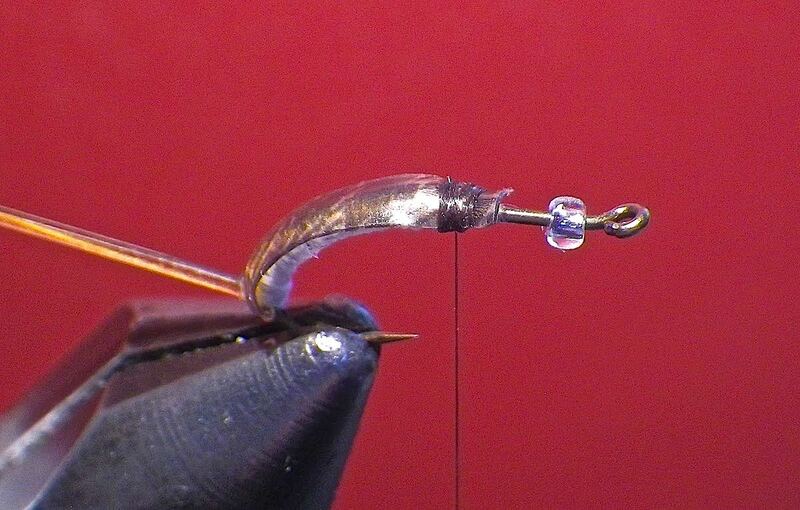 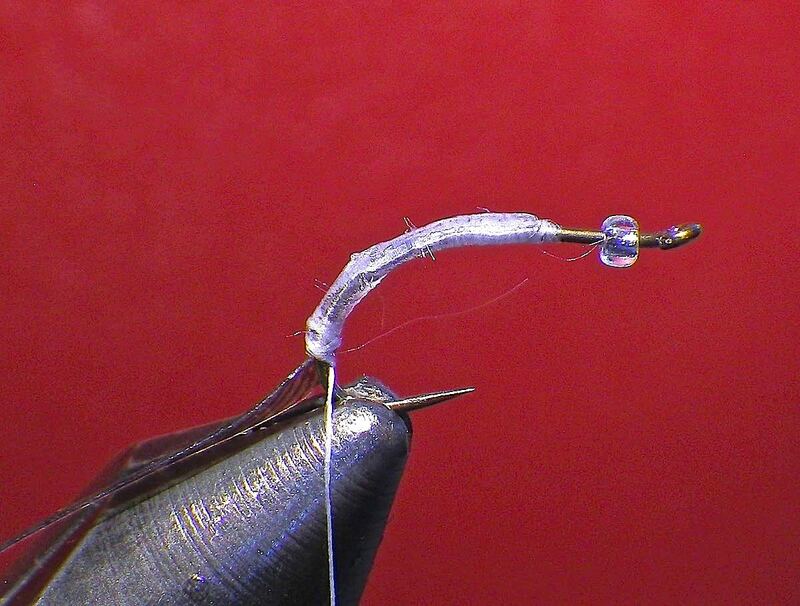 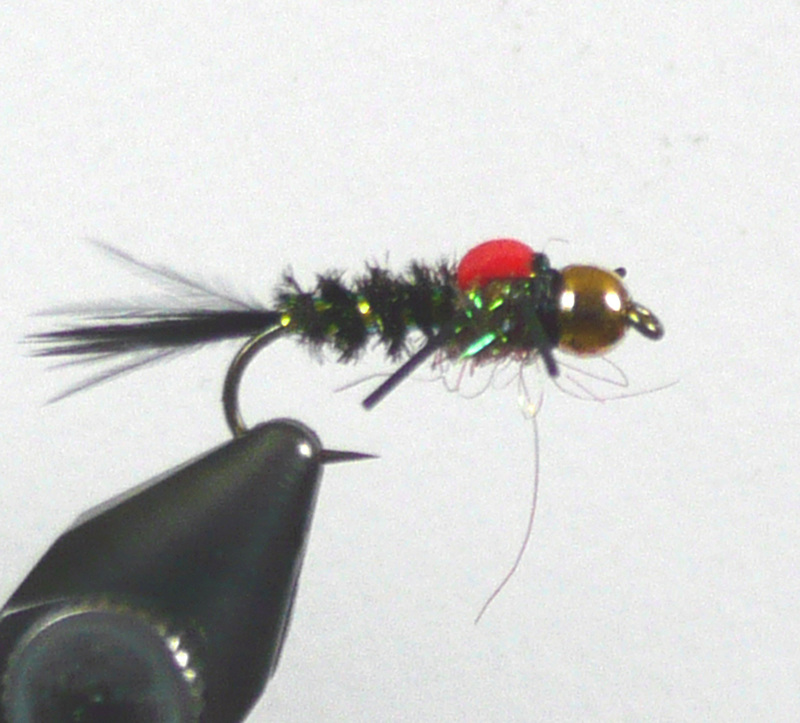 I also tweak this simple pattern with 3 strands of midge pearl flash under the wing and I tie it using UTC 70 Olive for the body. 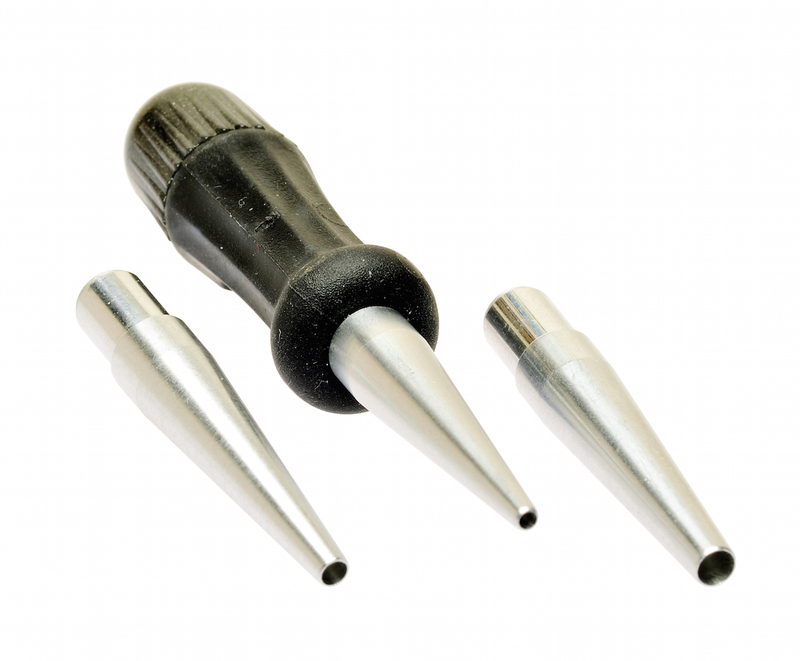 Faux Shop Vac here. 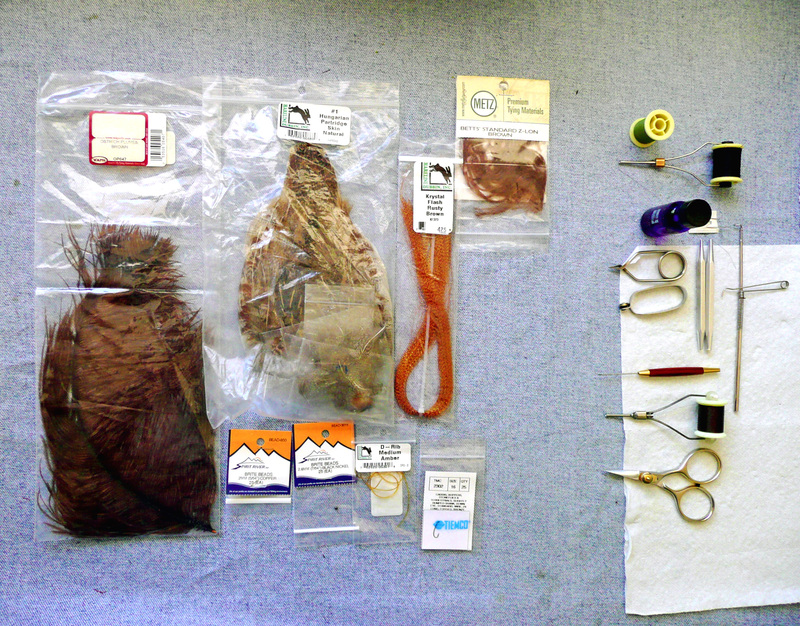 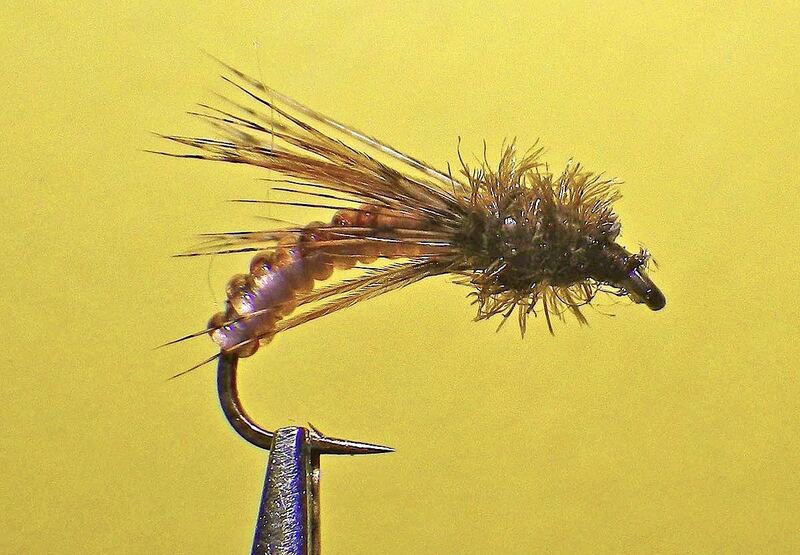 Abdomen: Wapsi UTC 70, brown, olive-brown, rusty- brown, olive or black / covered with clear micro tubing or color desired. 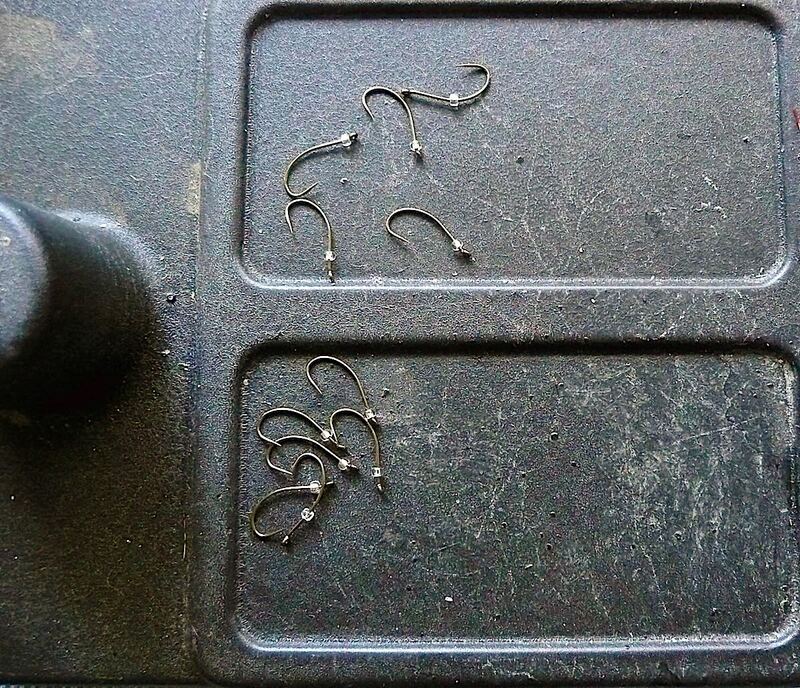 So I have these remaining Klinkhammer hooks and what to do? 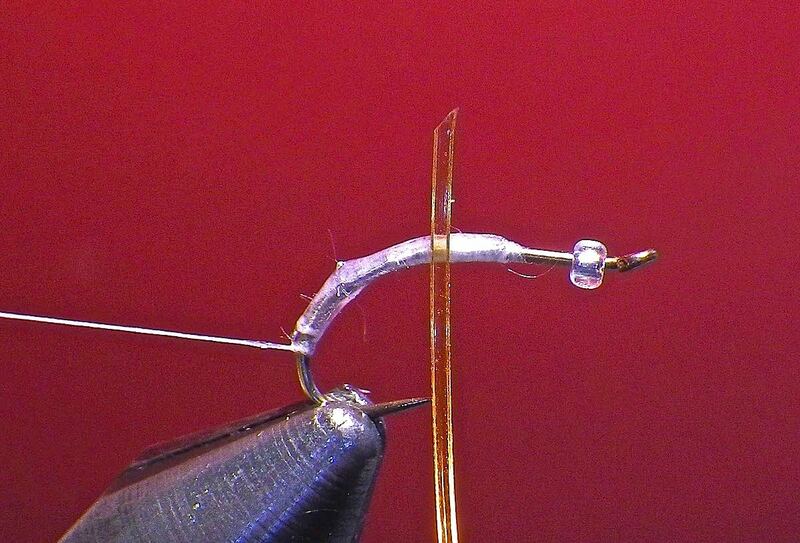 I like it better in the available small sizes than the TMC 200R – superior gape. 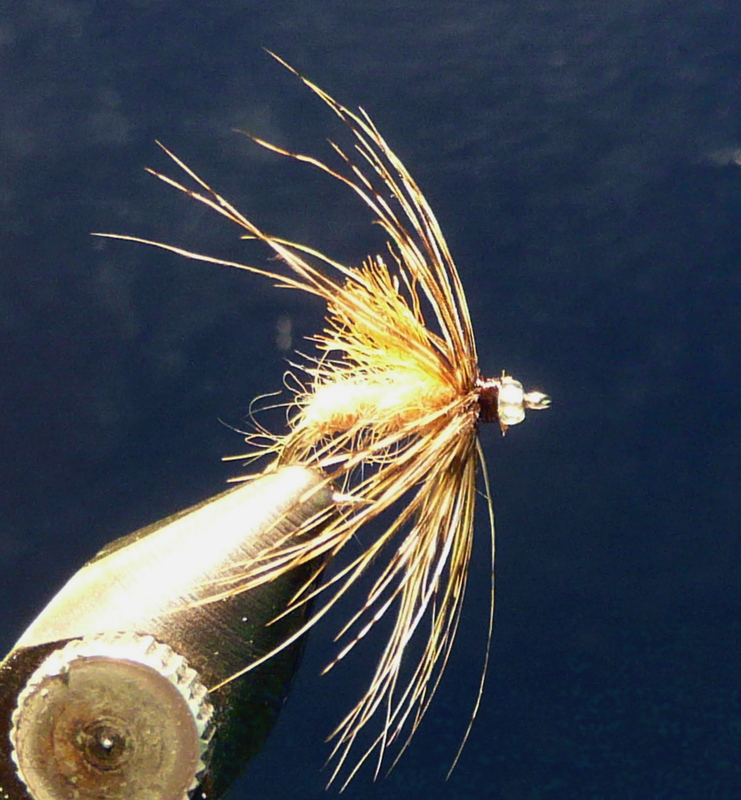 The fish seem to like it ( think Flav, Mahogany etc…) Rust bites back on the Stillwater! 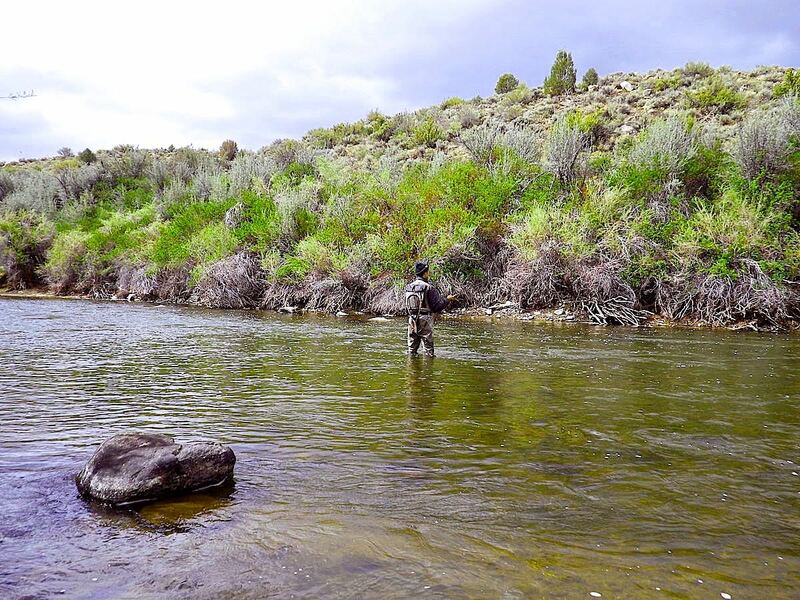 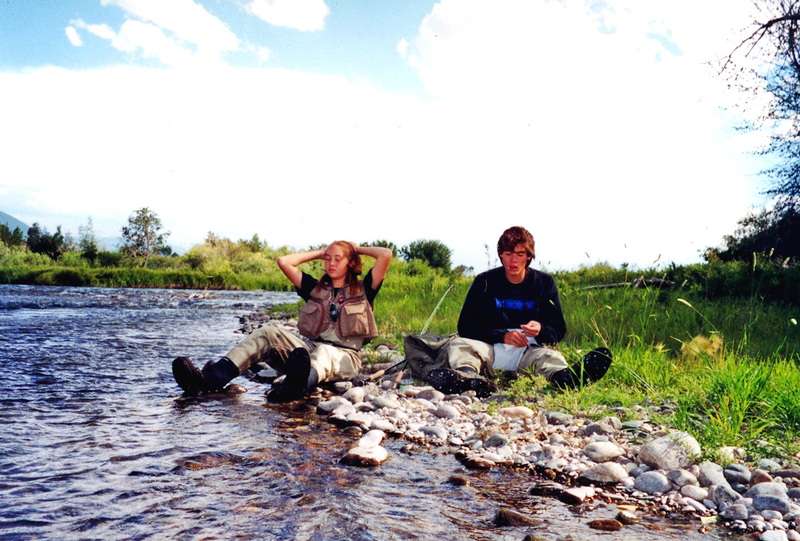 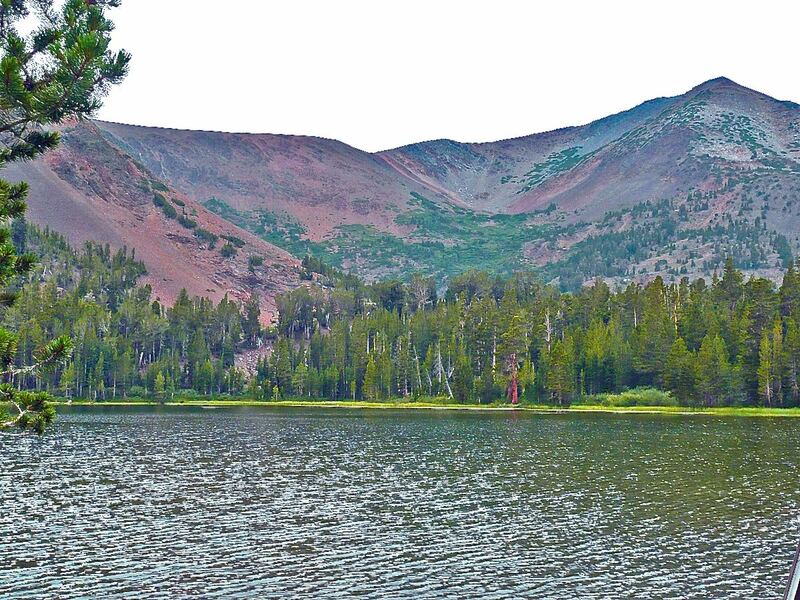 This is a pattern developed by anglers who fish the Gunnison Gorge. 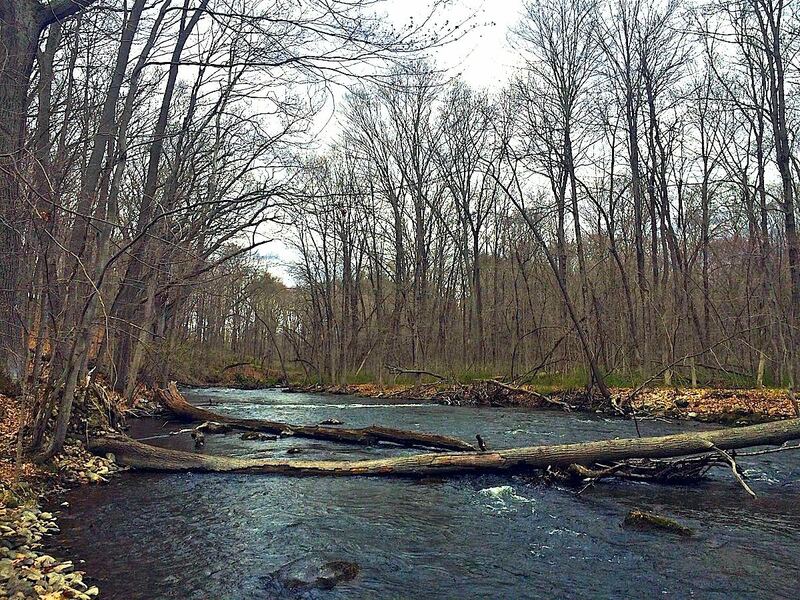 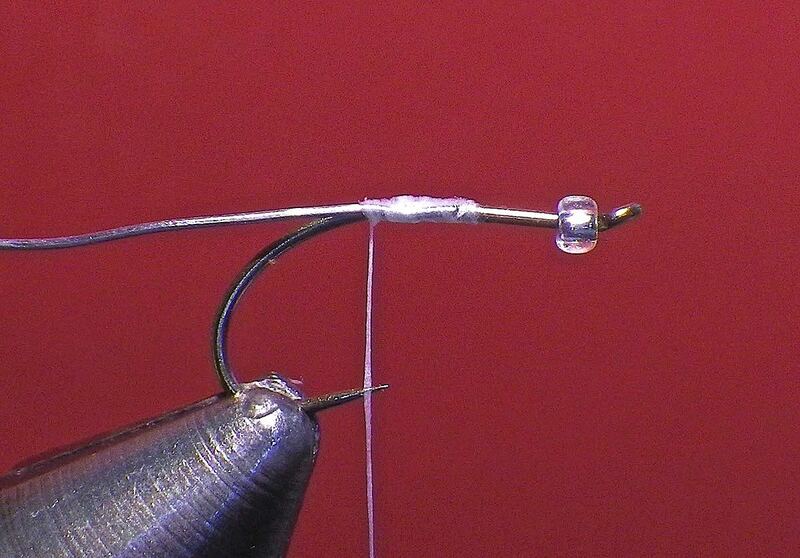 It is tied here by Gale Doudy. 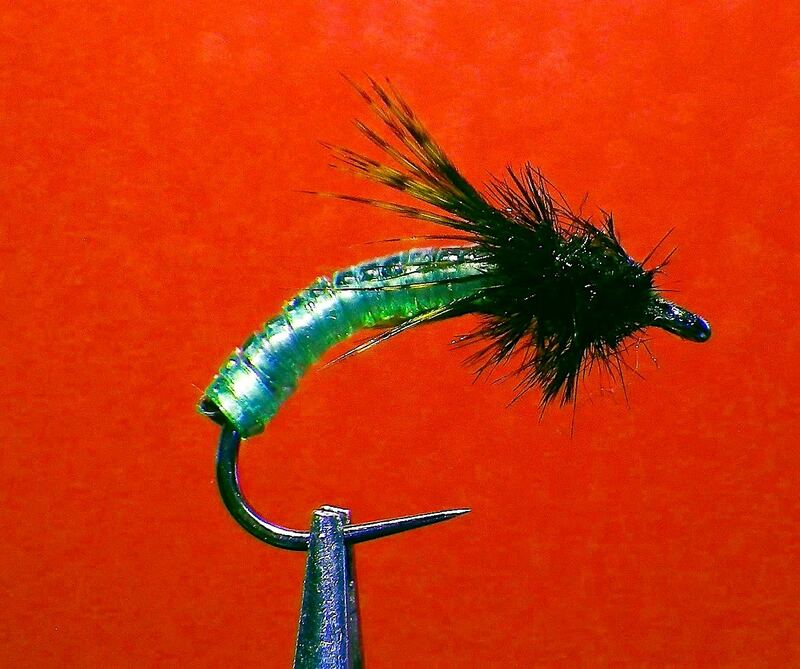 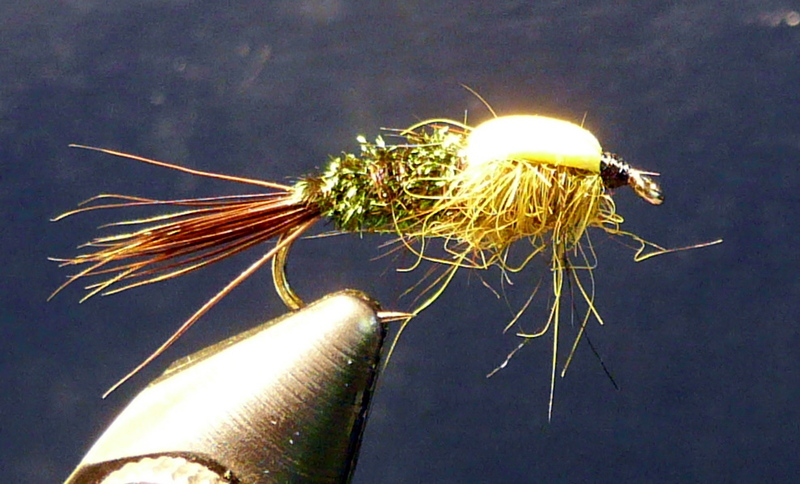 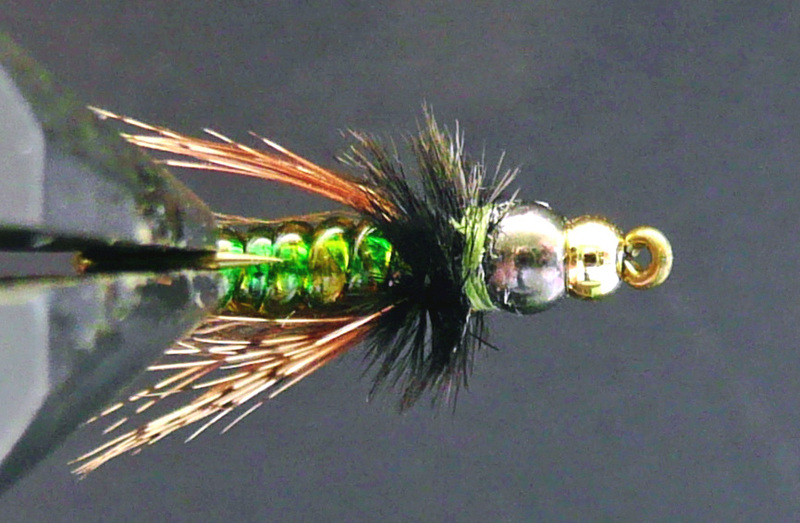 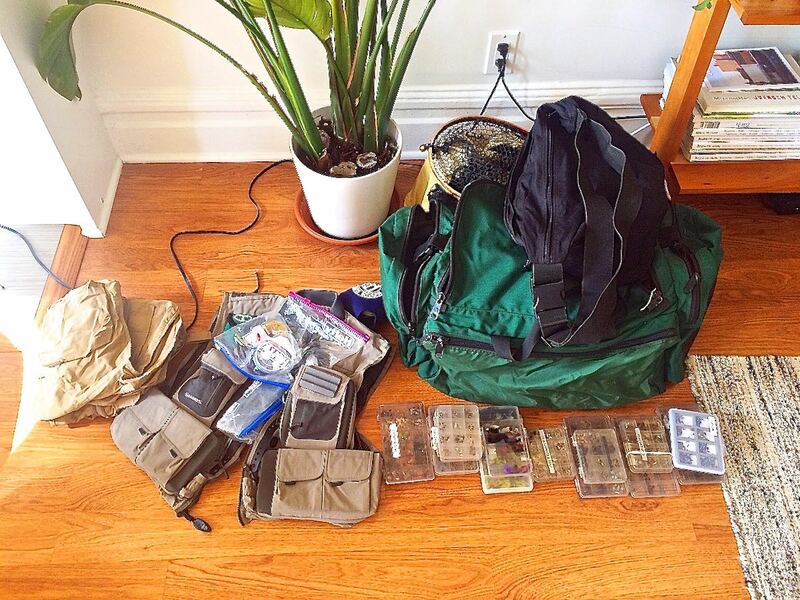 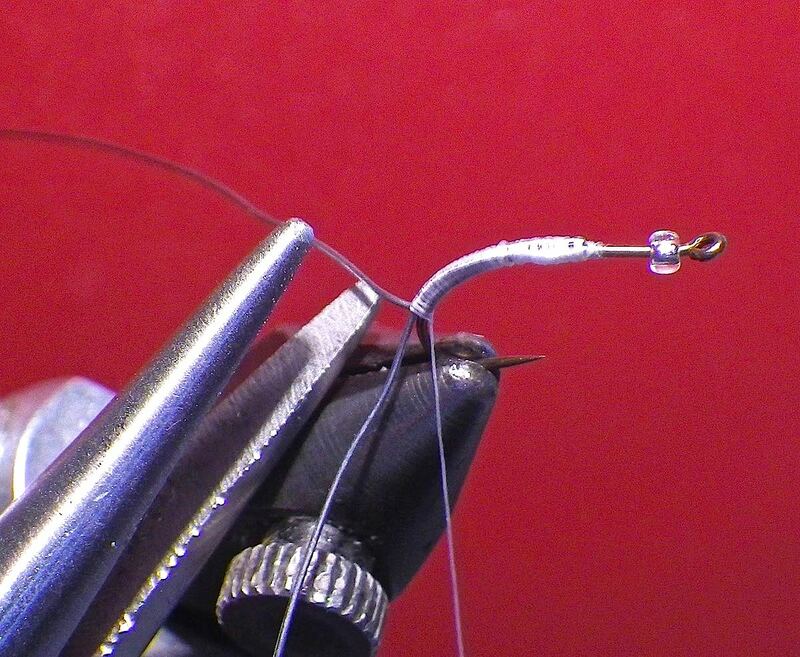 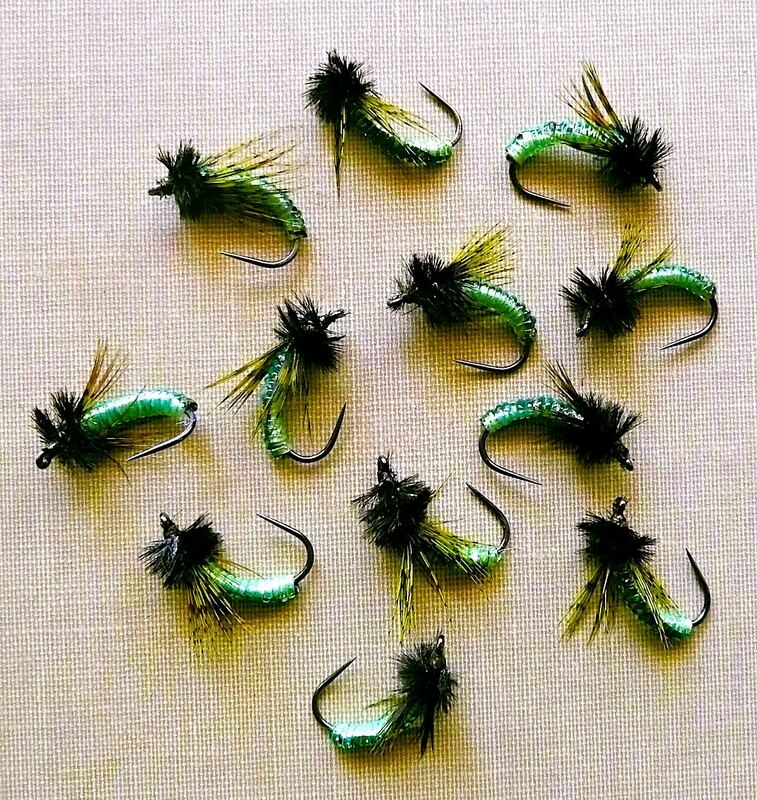 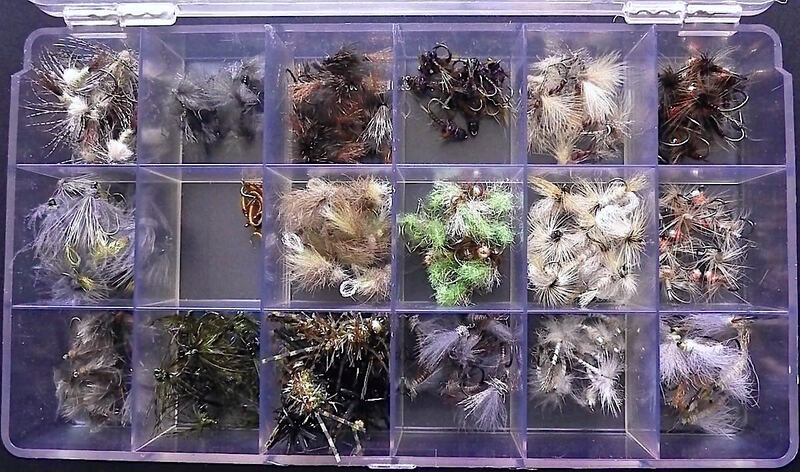 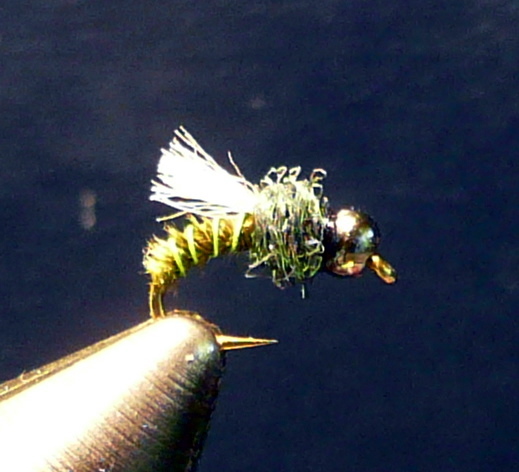 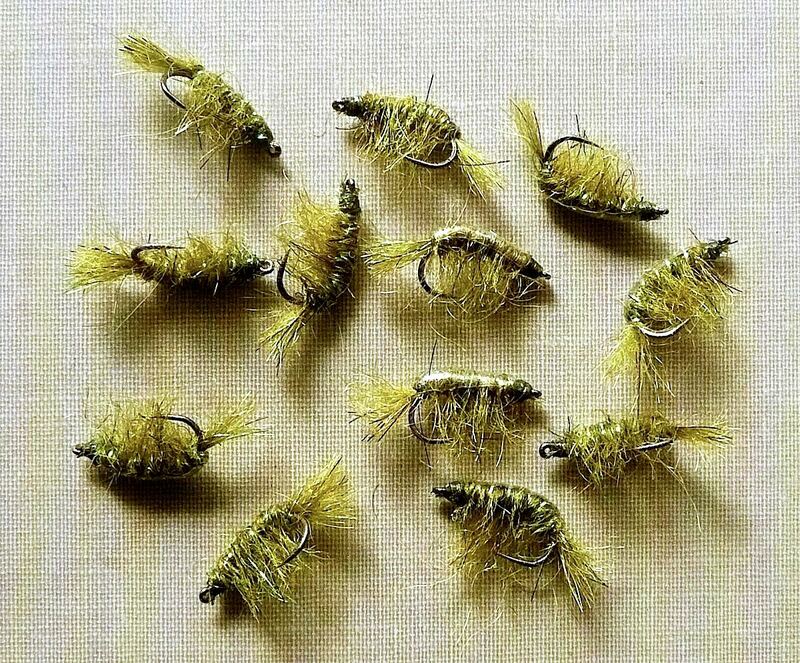 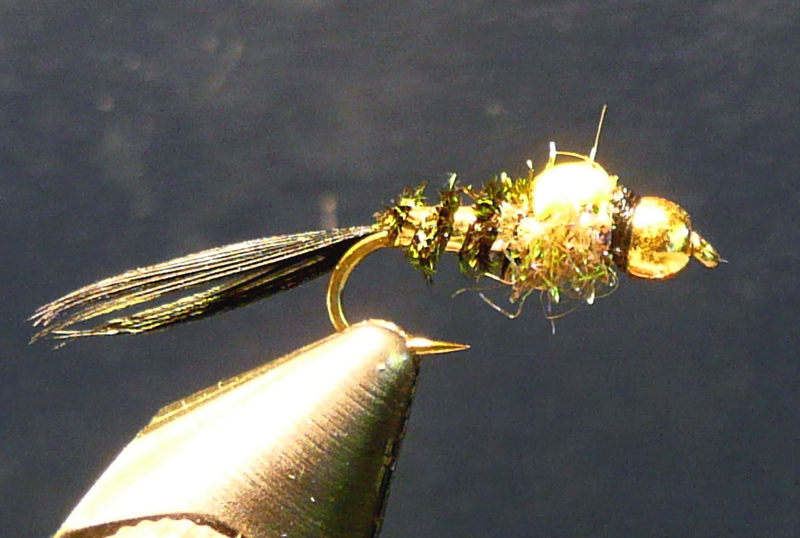 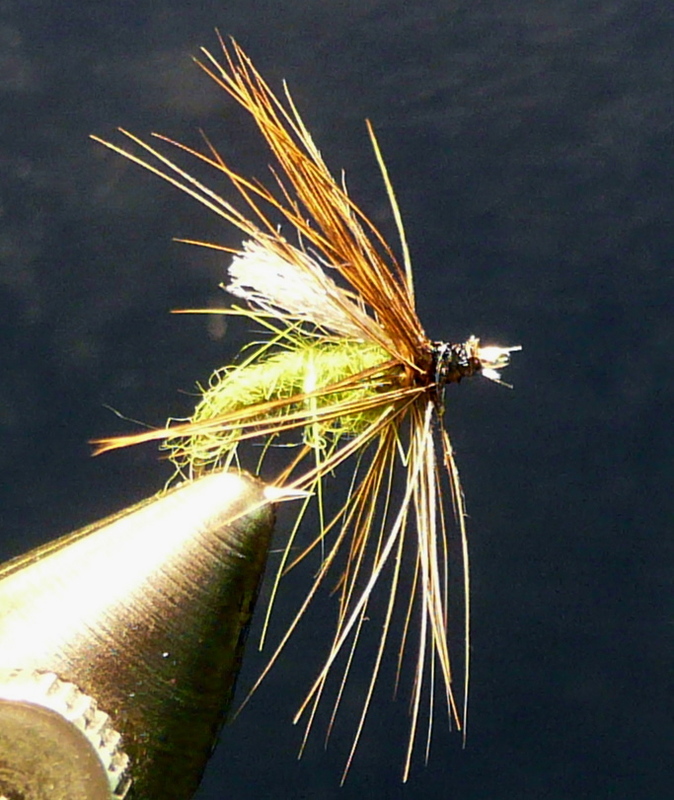 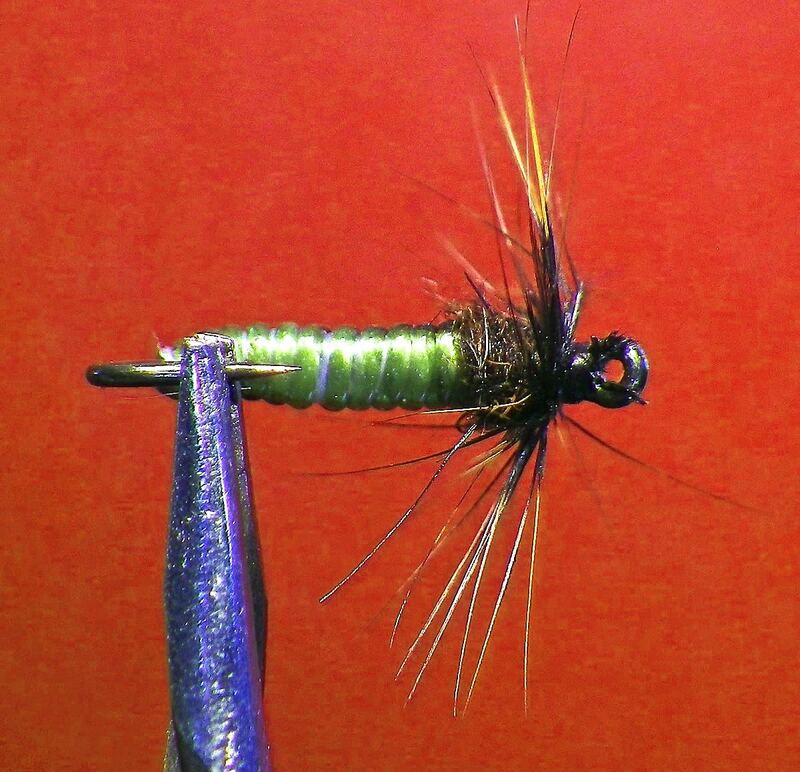 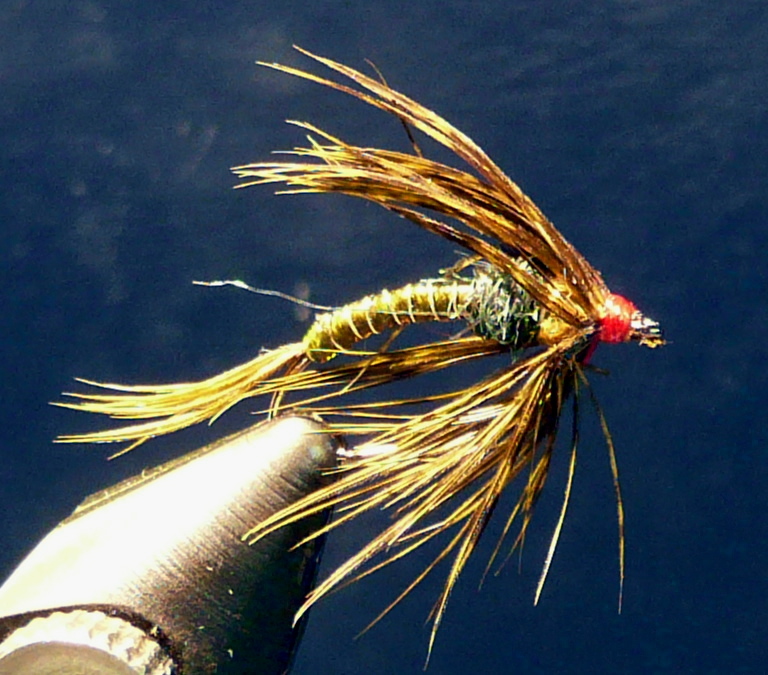 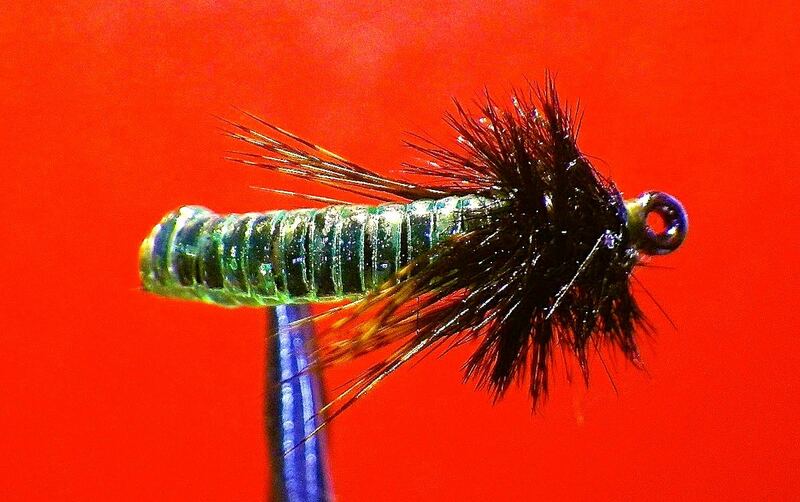 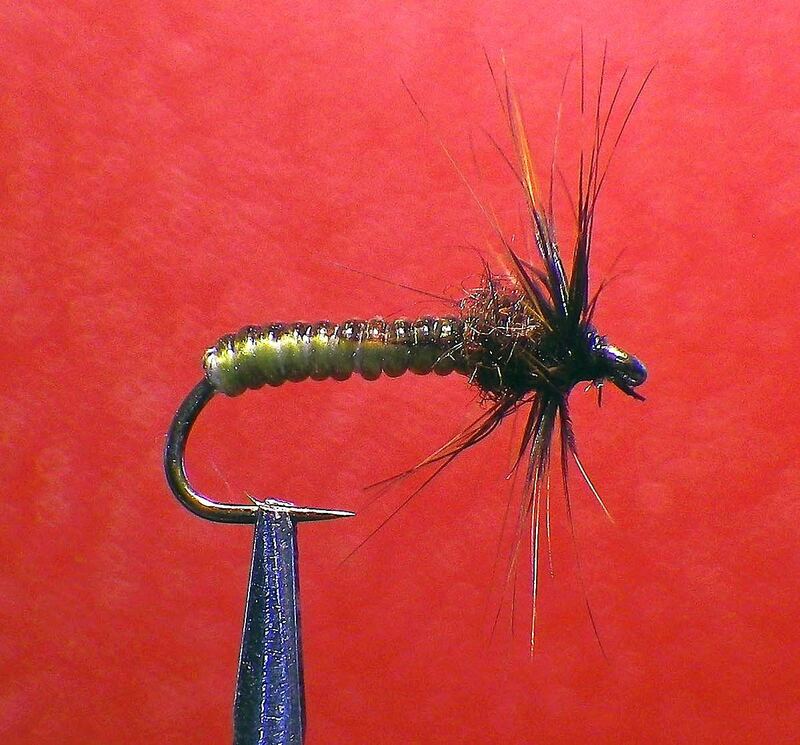 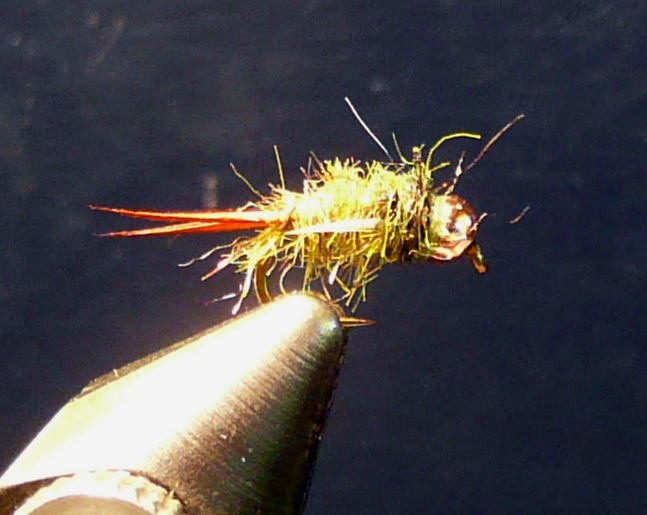 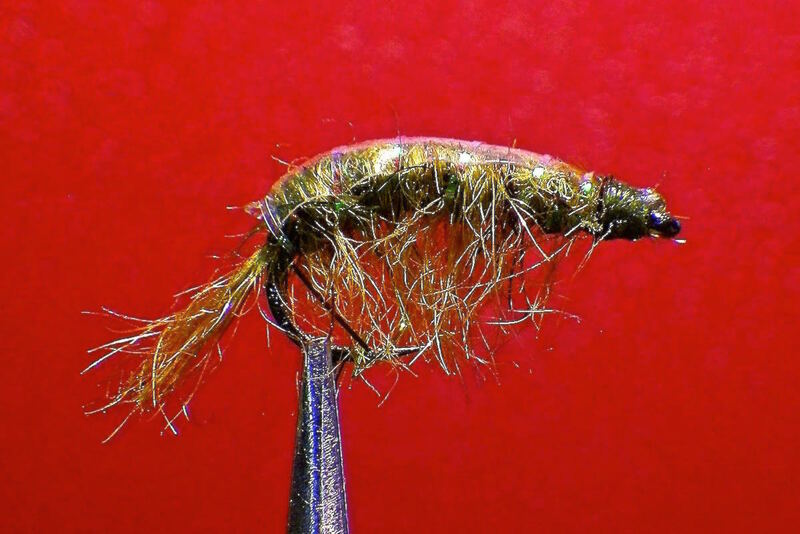 It is an alternative to John Barr’s (Graphic Caddis ) Caddis Pupa pattern and fishes extremely well -tied in Green for Spring and in Tan for Fall. 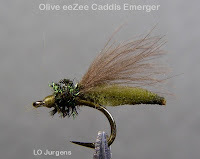 Gale also has tutorials on some other interesting patterns…check it out!!! 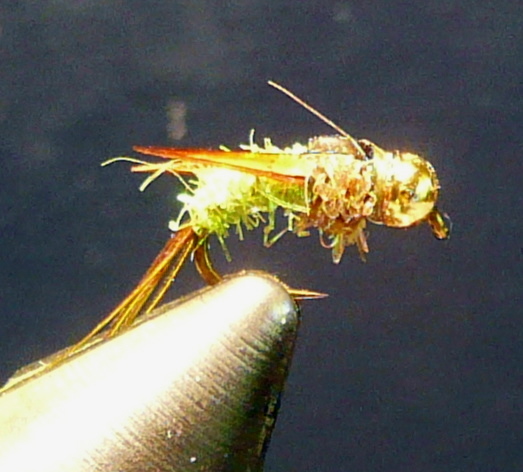 Here is a simple Caddis (Brachycentrus ) pattern to match the Mother’s Day hatch from LoJ’s Flytying and Bugstuff… some great patterns there…. 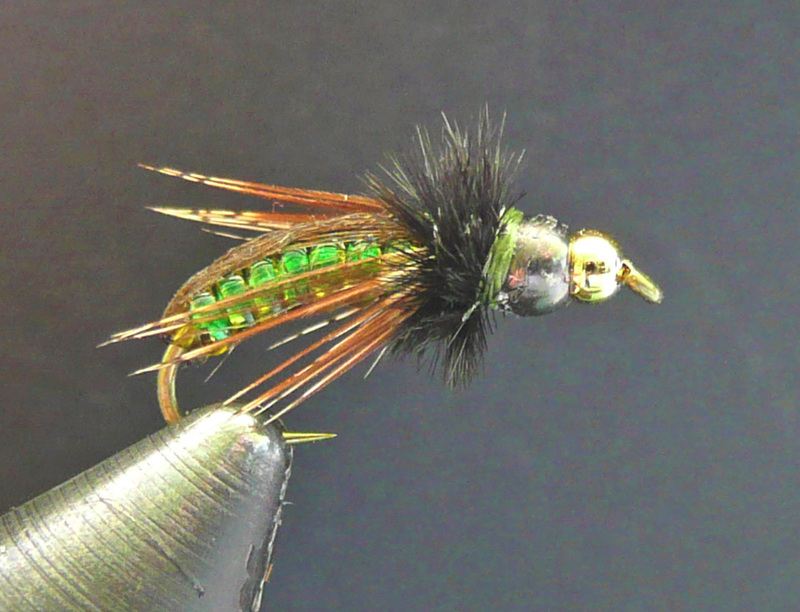 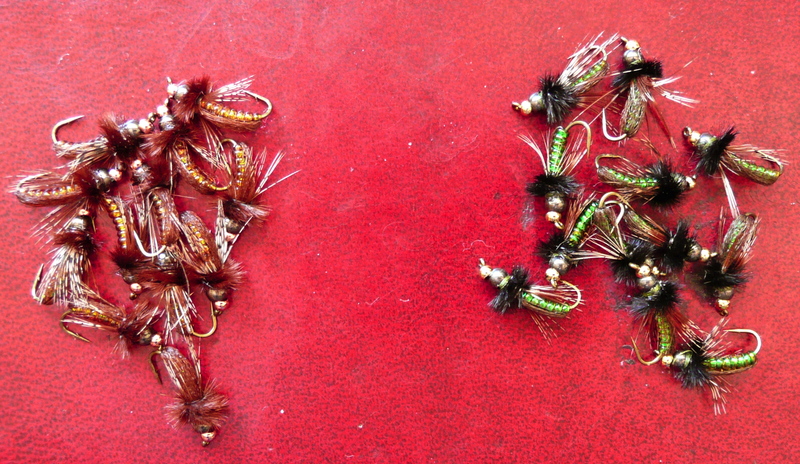 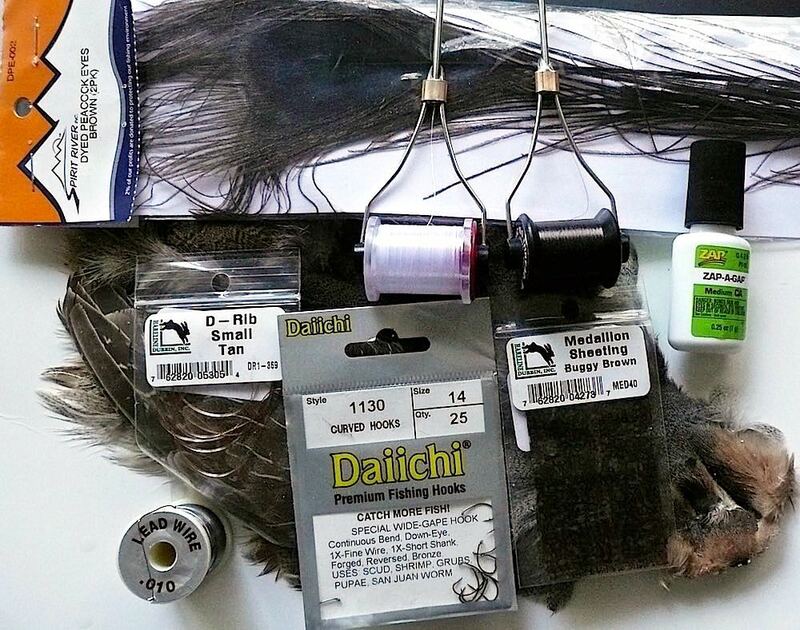 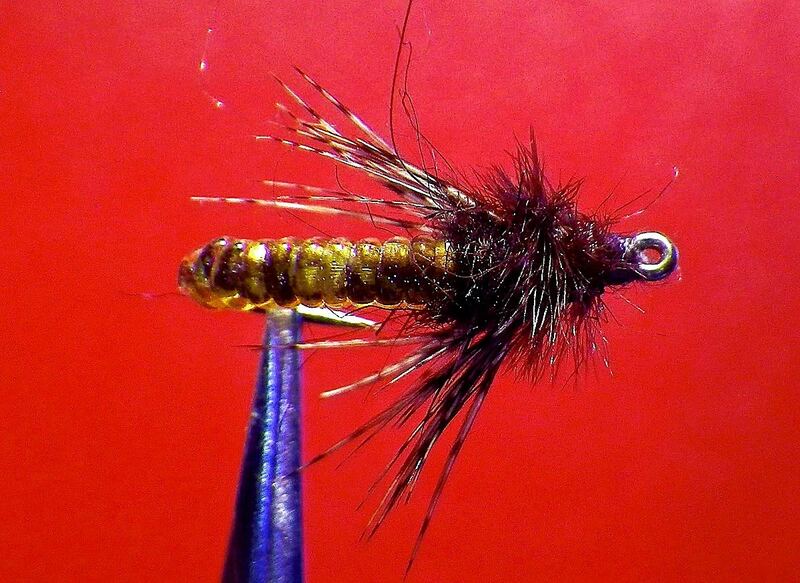 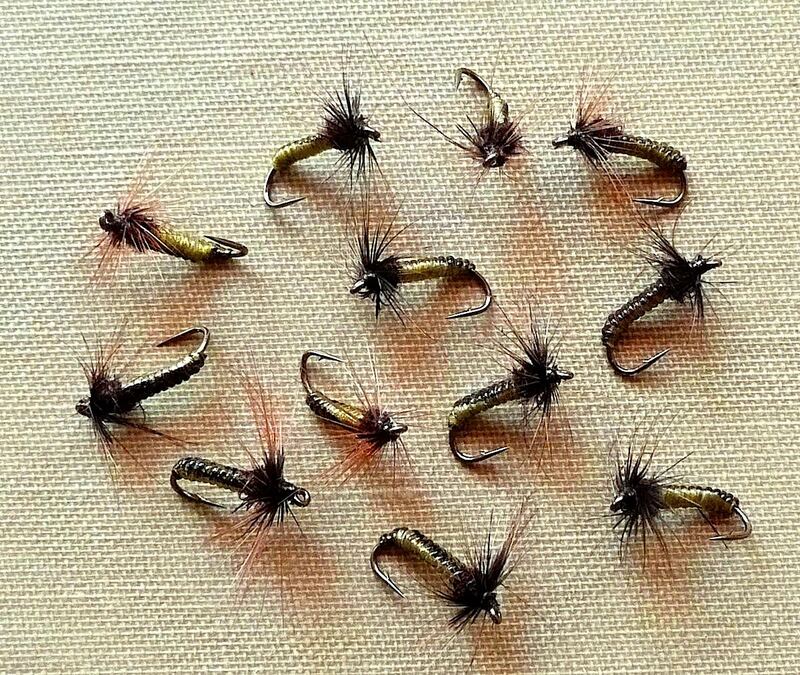 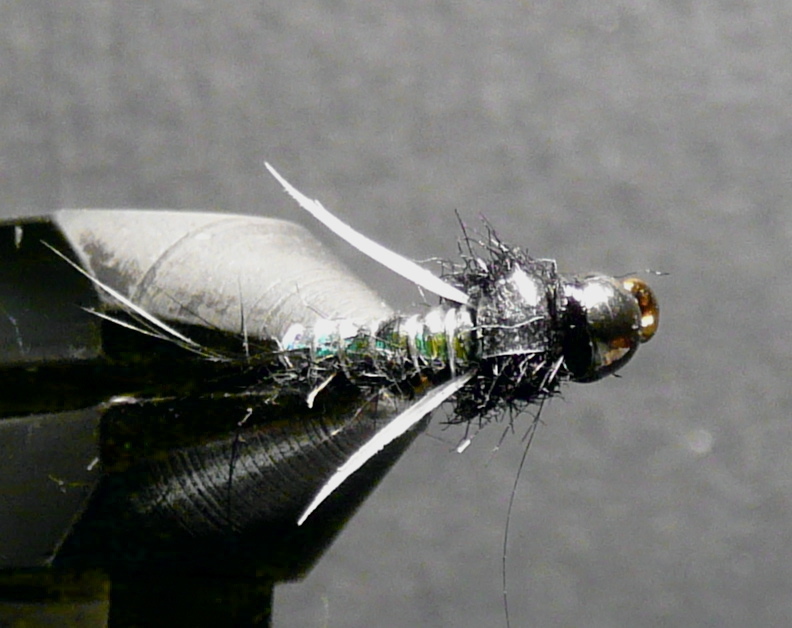 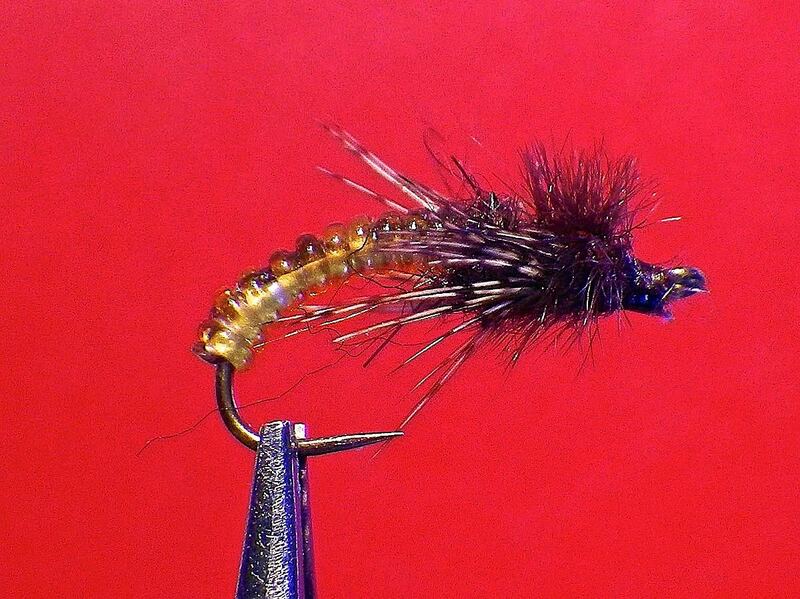 The BWO’s/Baetis instructions are finished. 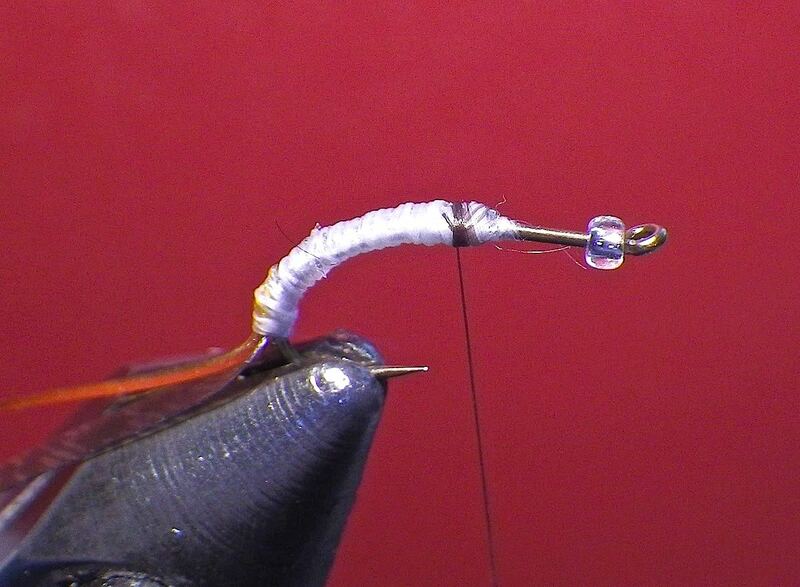 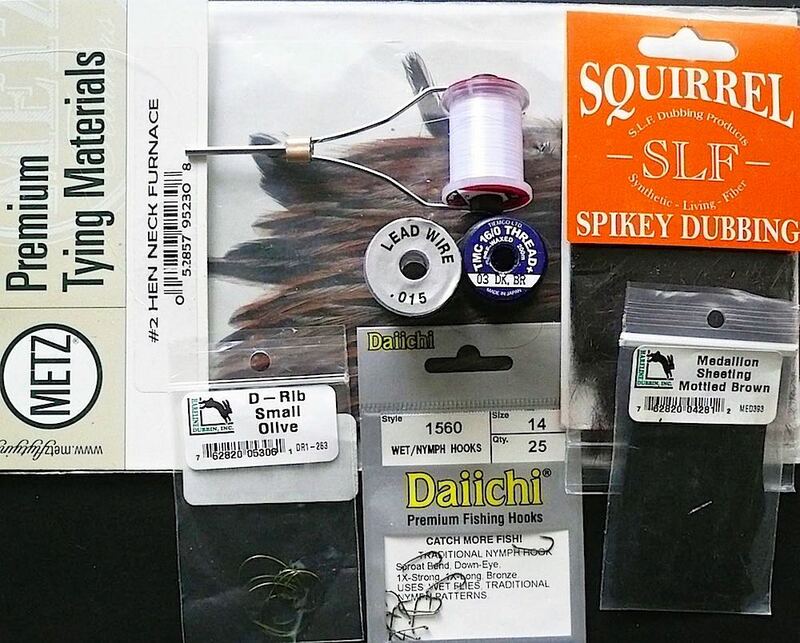 They may be found below (on the following page)…Good tying!!! 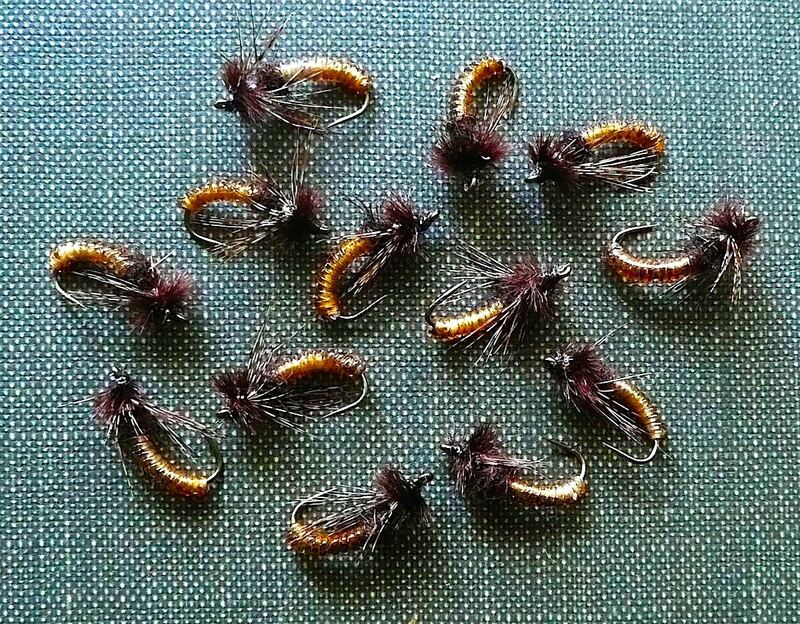 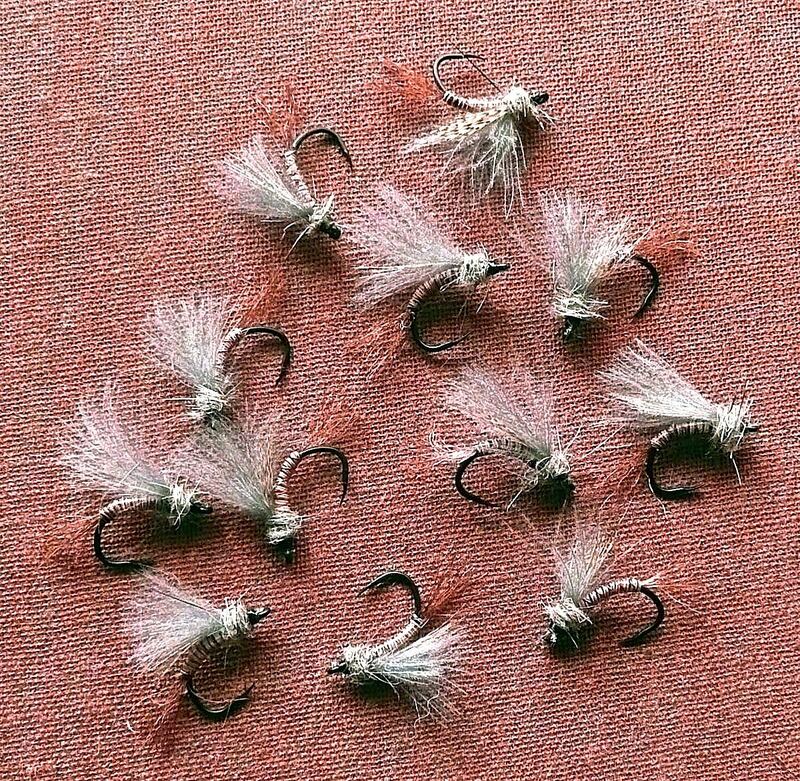 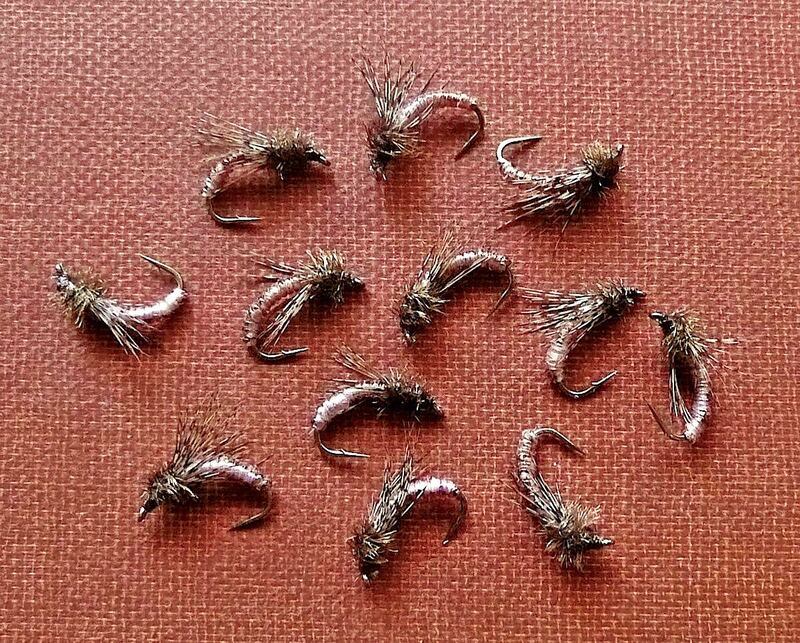 I tied these up to create a ” pop” rather than using the standard Tiger or Zebra Midge for the Owens and East Walker Rivers…Nice!!! 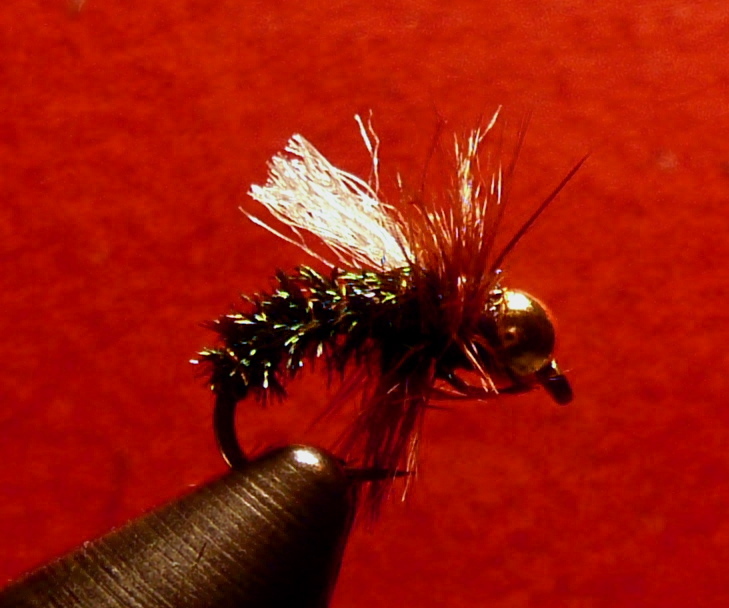 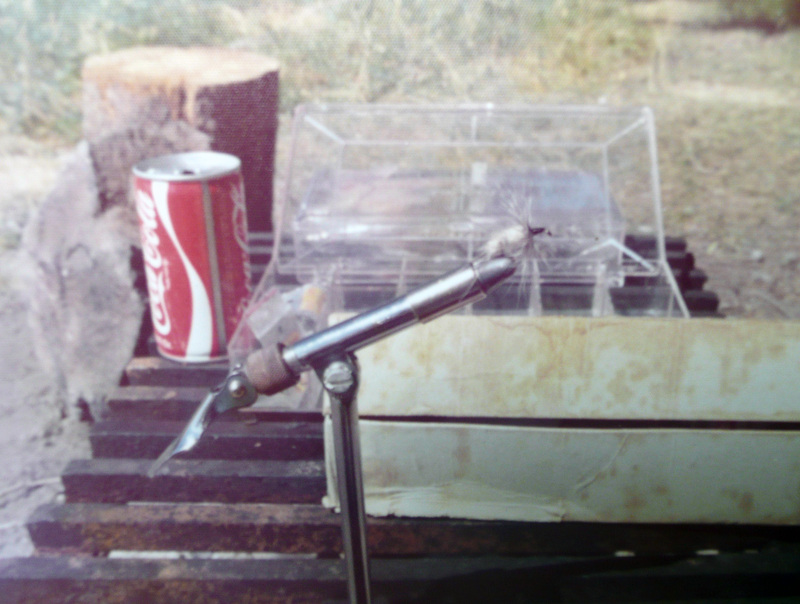 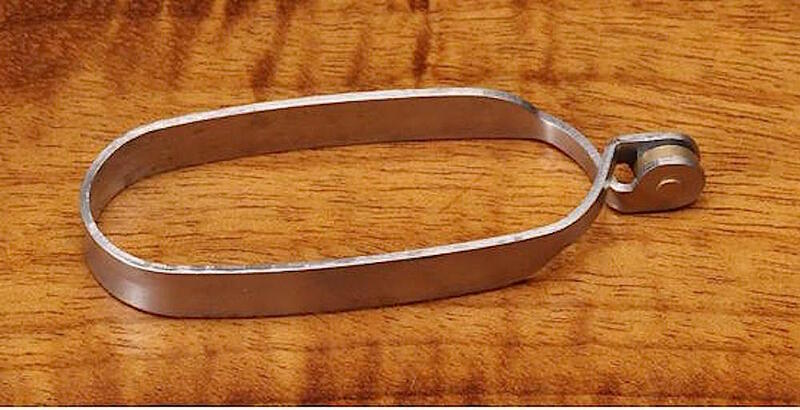 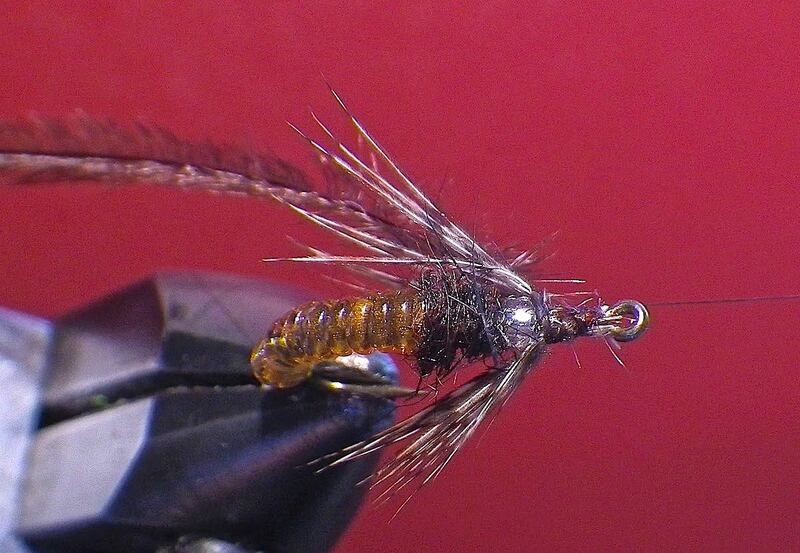 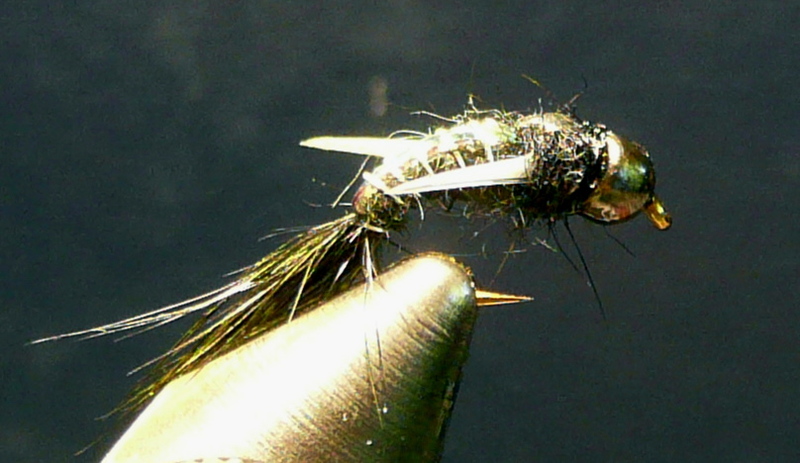 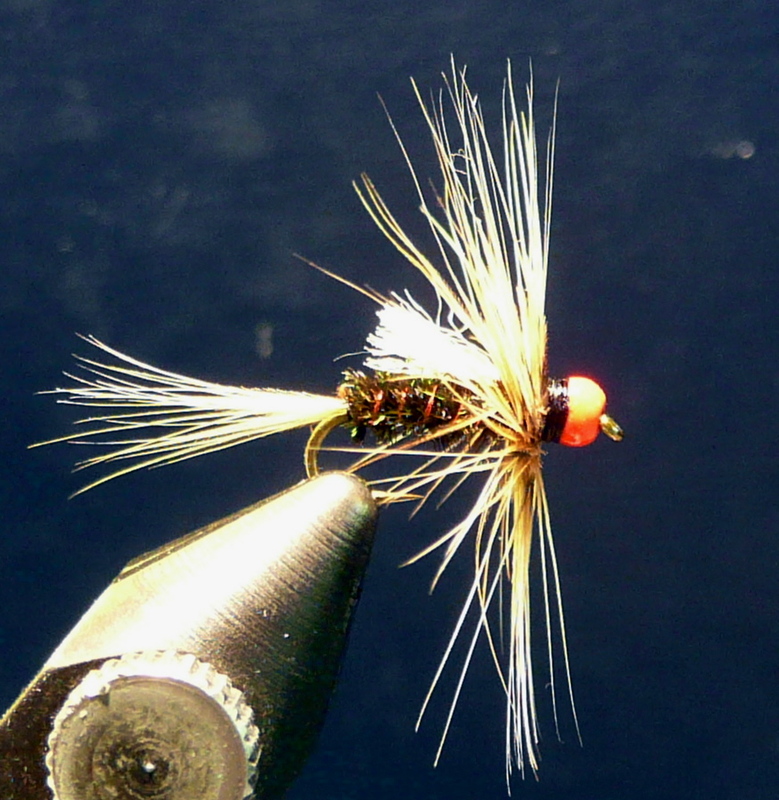 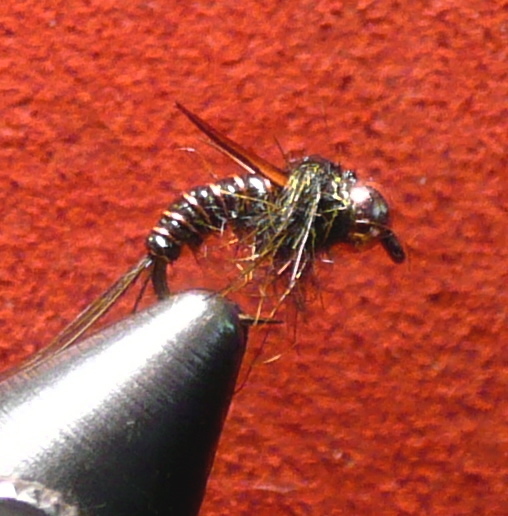 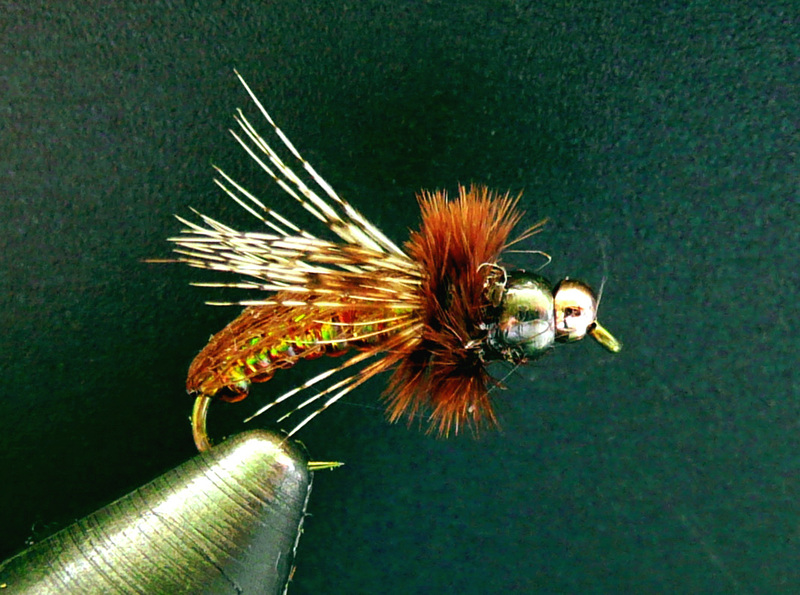 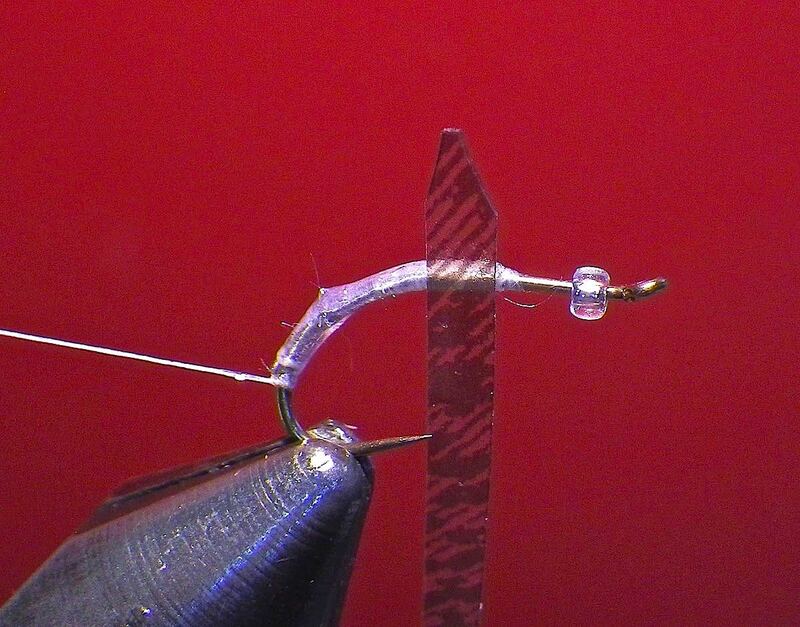 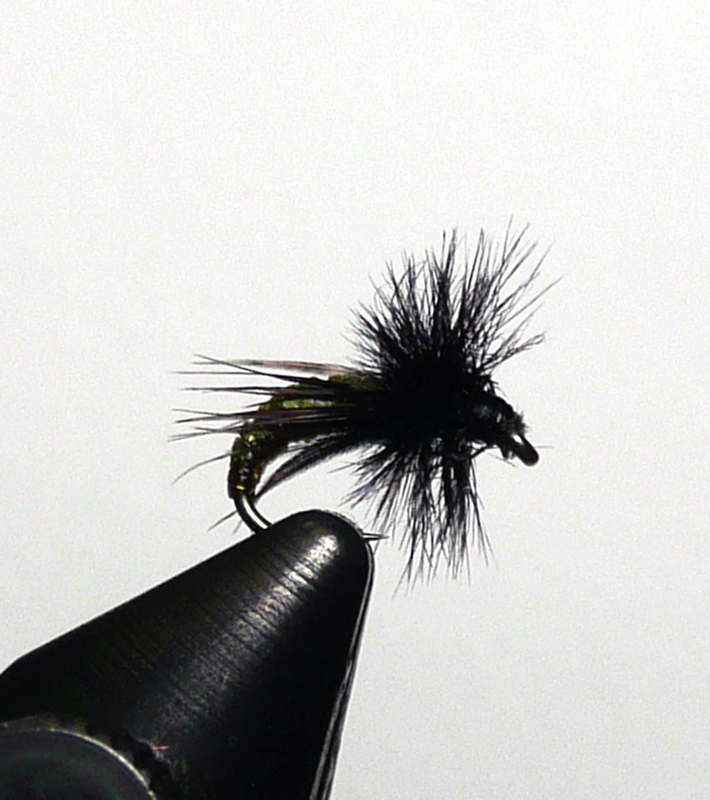 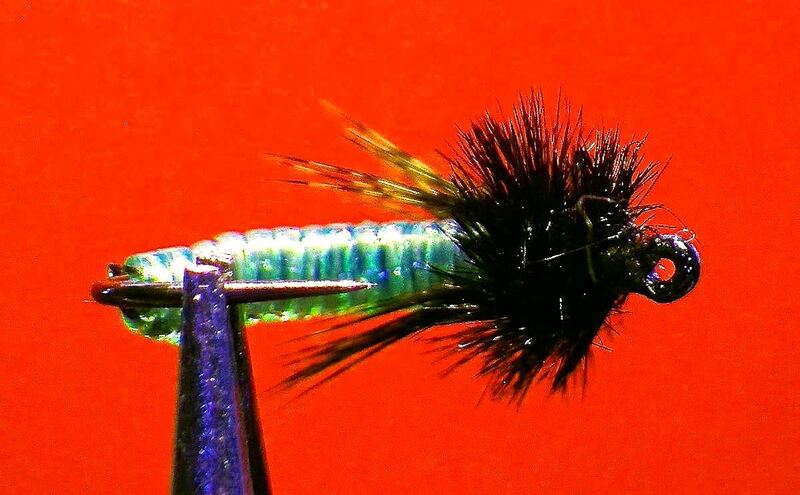 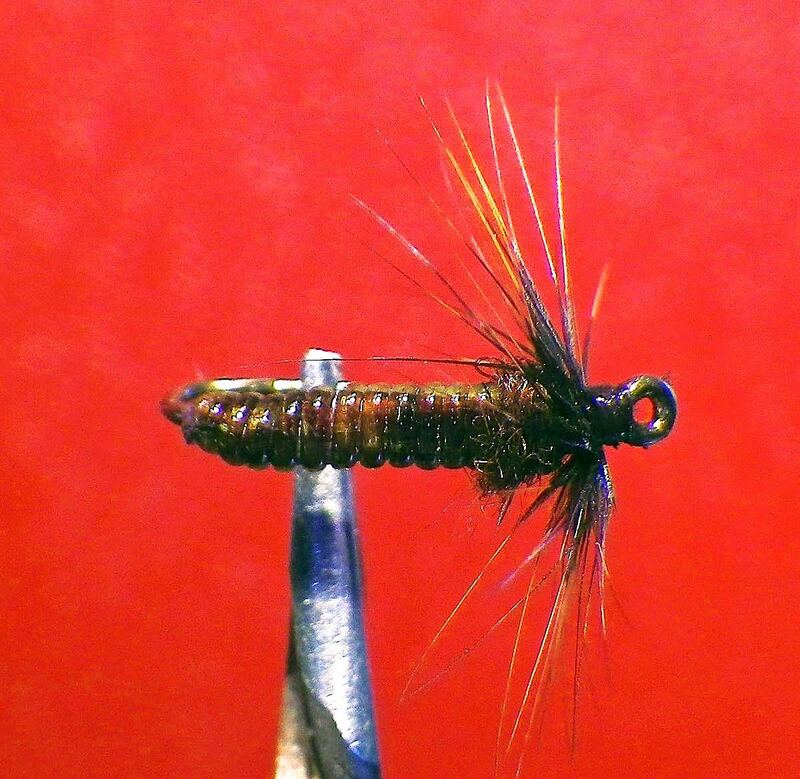 A Joe Egry patten that appeared in Southwest Fly Fishing. 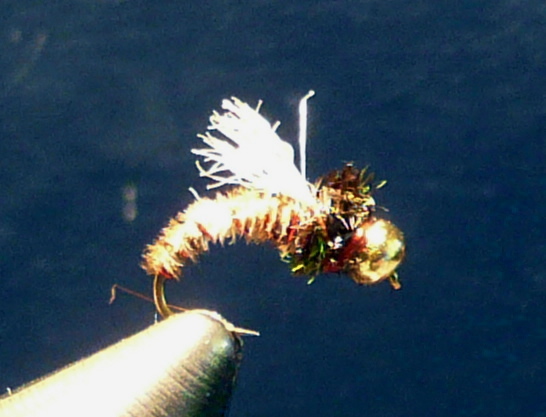 A good fly for edges on The East Fork of the Carson, West Walker River ( canyon section) and the Mighty Kern, It may be fished under a stimulator as a dropper. 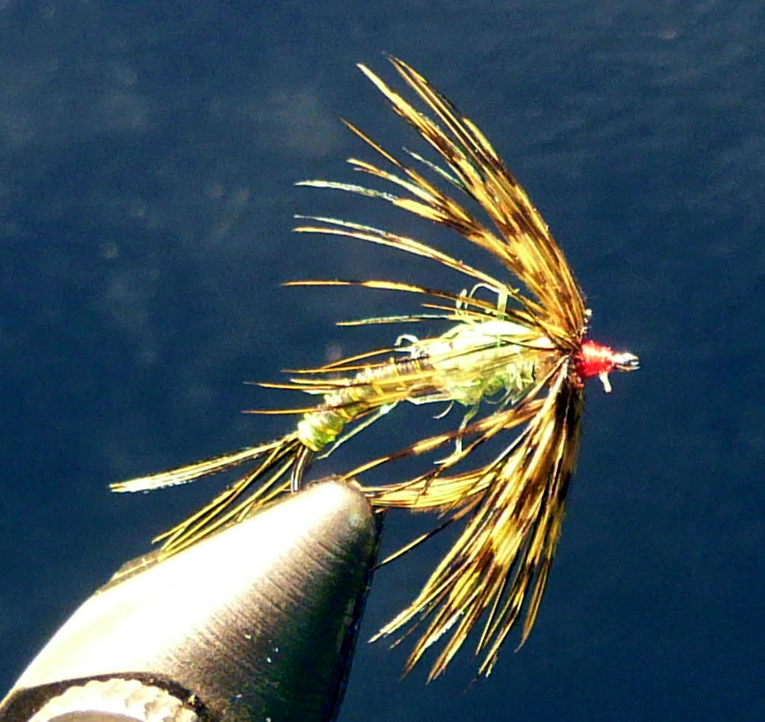 A Jim Schollmeyer pattern. 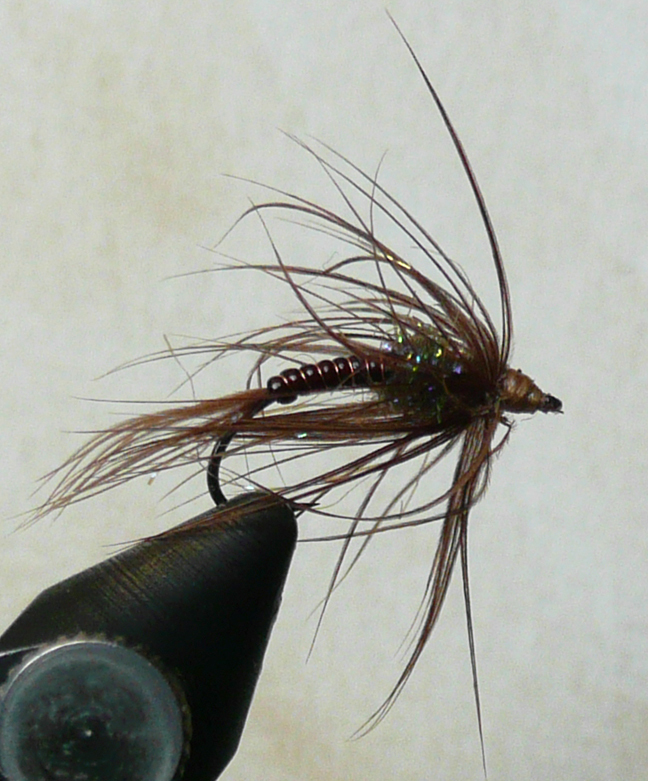 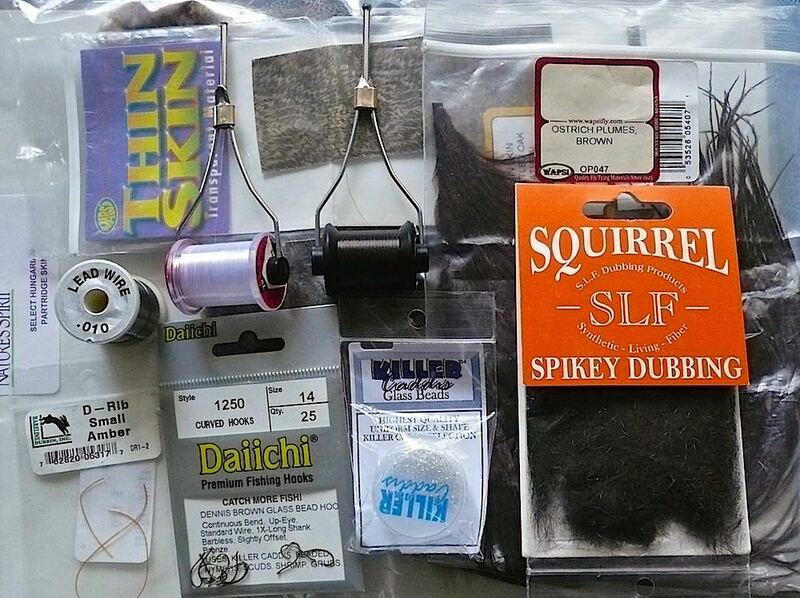 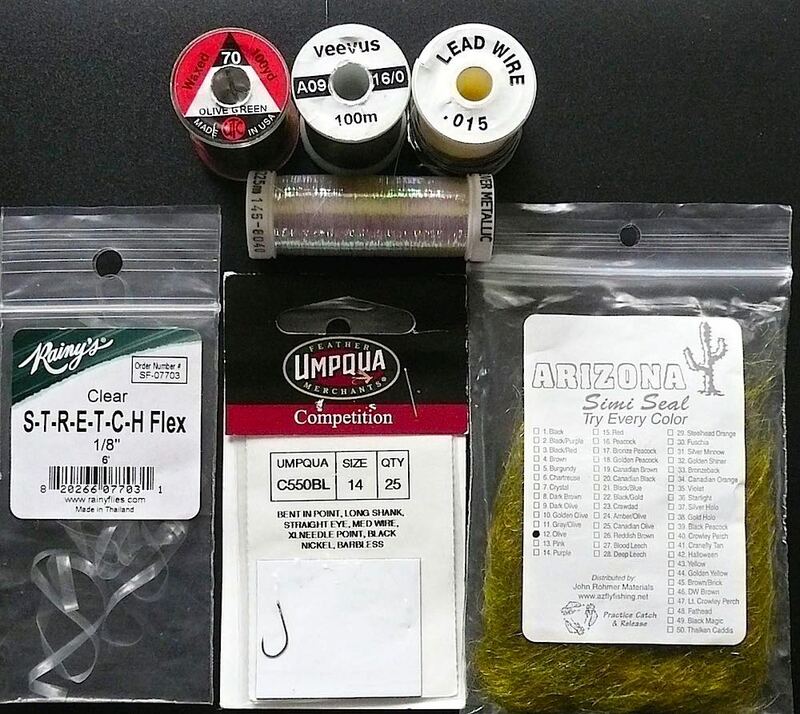 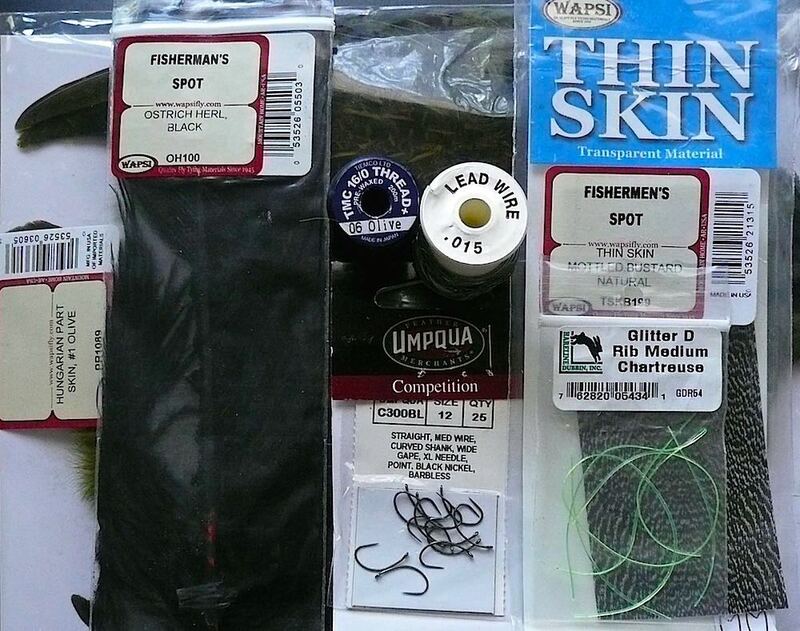 I use this on the East Walker and Owens Rivers as an alternative to the La Fontaine Sparkle pupa. 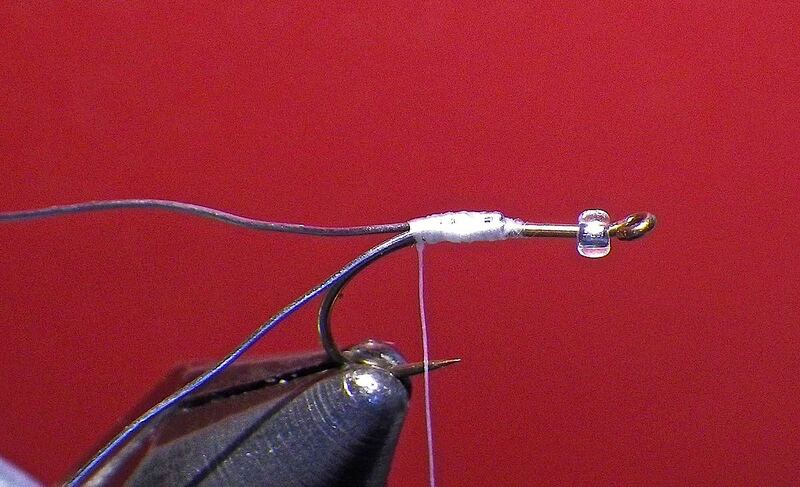 It works great on a Liesenring Lift!